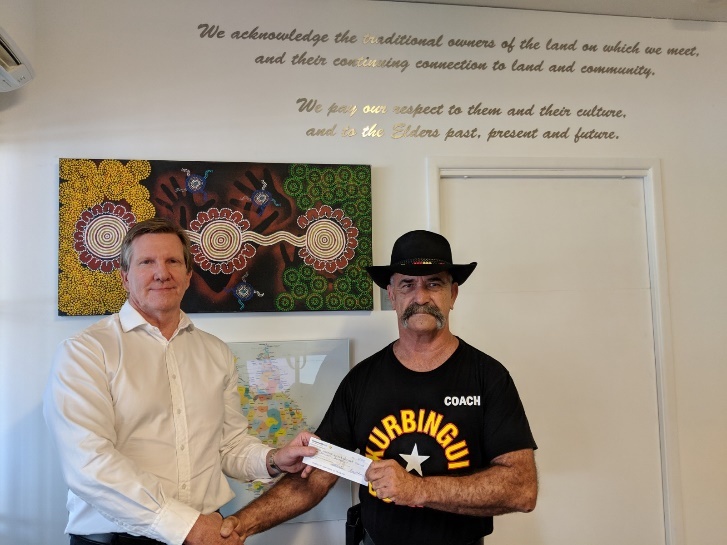 Pickwick are pleased to provide a donation of $500 dollars to the Kurbingui Sporting Association. Kurbingui Sports is a non-profit volunteer community association that strives to improve the health and fitness of participants. 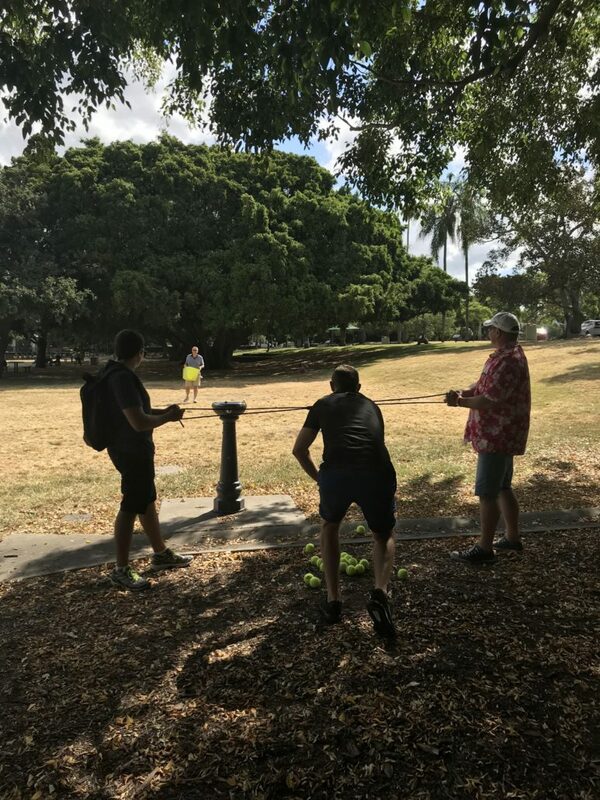 Working with both Indigenous and non-Indigenous youth for over 20 years on Brisbane’s north side, Kurbingui has a long association with boxing and is an affiliated member of Boxing Queensland. It has continually been represented in Queensland and Australian boxing titles. Pickwick wishes Kurbingui all the success for the future as a community sports association. 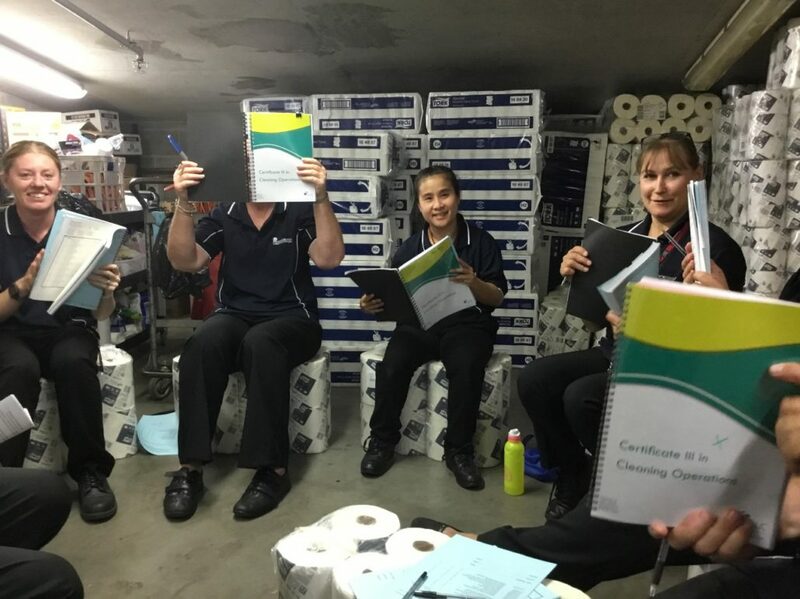 Pickwick cleaners at Bendigo and Adelaide Bank – The Bendigo Centre recently completed their Certificate III in Cleaning Operations. The course is designed to develop a broad range of competencies and skills where participants learn current environmental cleaning techniques with relevant industry practices for preparing and cleaning a range of surfaces like carpets, hard surfaces, wet areas, glass furniture and fittings. 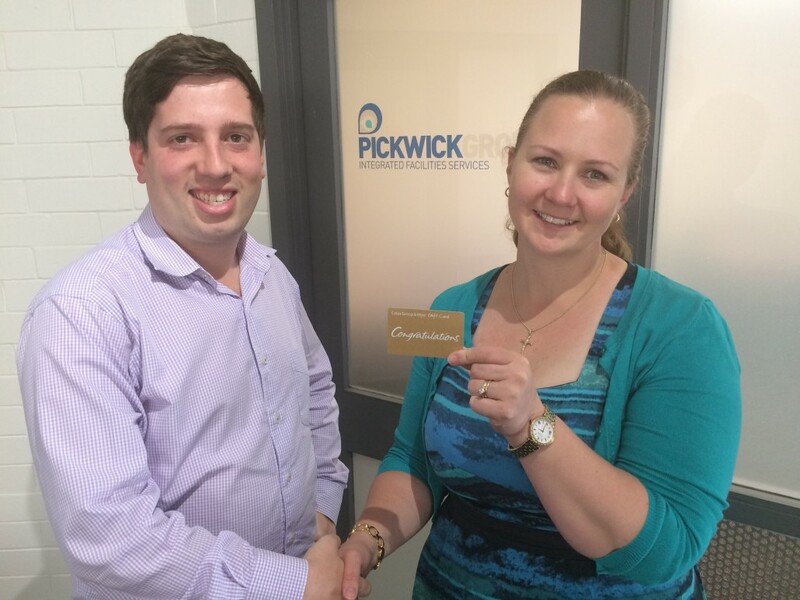 Judith Barlow, one of Pickwick’s Client Services Manager’s in Victoria was ecstatic with the commitment shown by her staff. 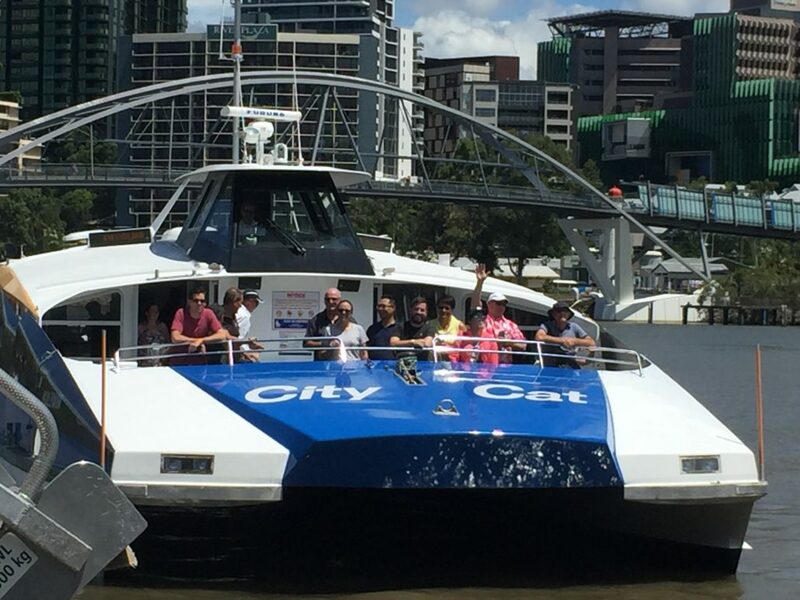 The training was over a 12-month period and commenced shortly after Pickwick was awarded the contract. Many of the staff have been in the cleaning industry for over 10 years and were pleased to have the opportunity to complete some formal accredited training after commencing employment with Pickwick. 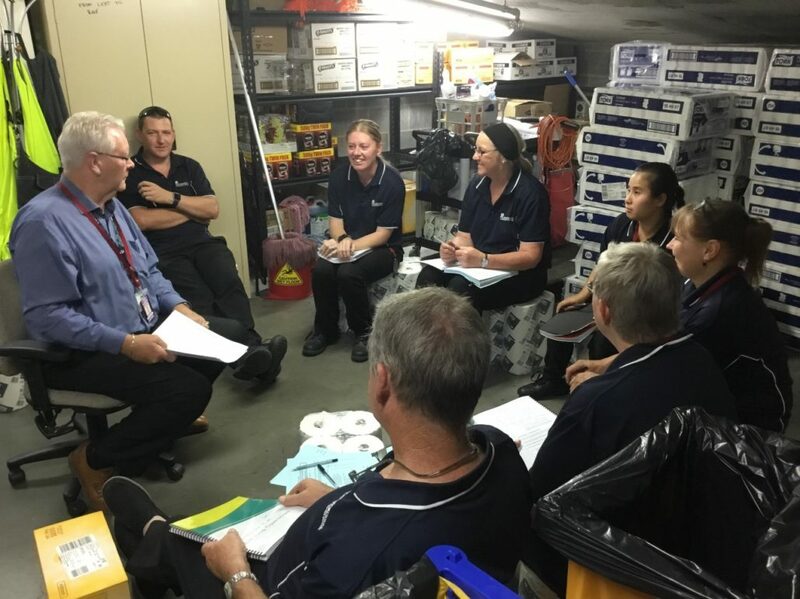 Training was conducted by long-term business partner Stanborough Wemyss Contracting Pty Ltd (SWC Training). The company is a Registered Training Organisation and Human Resources company that operates nationally specialising in workplace-based training programs. SWC has conducted training across Pickwick sites for several years. 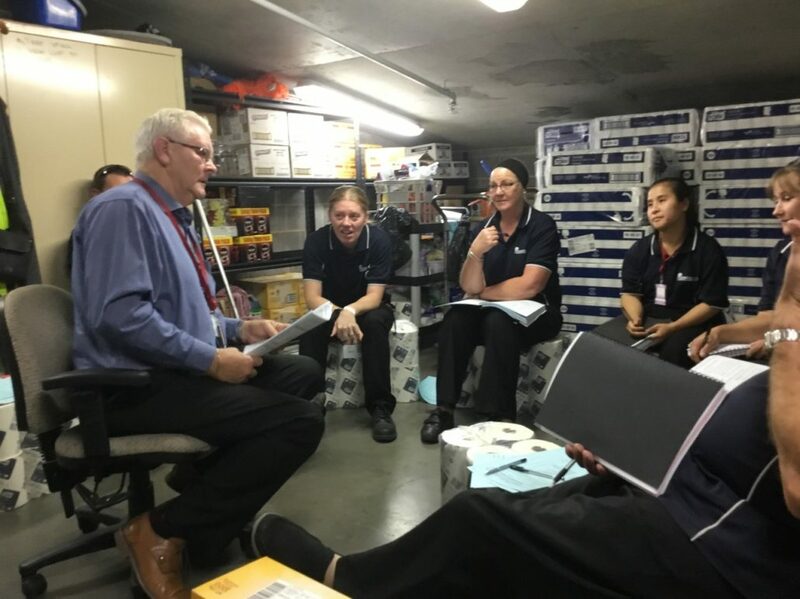 SWC Trainer/Assessor Paul Andison commented that the enthusiasm shown through the duration of the course by Pickwick staff based at the Bendigo Centre was as good as he has seen. Judith is now busy organising a social get-together for all staff who will be presented with their certificates. Well done and congratulations to all involved. Pickwick is proud to announce the Pickwick 1A Services website is now live, see https://pickwick1a.com.au/. 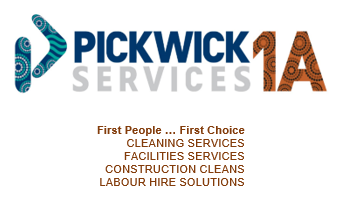 Pickwick Facilities Services & Recruitment Pty Ltd (hereafter “Pickwick 1A Services”) is a majority Indigenous owned Joint Venture with Pickwick Group Pty Ltd. 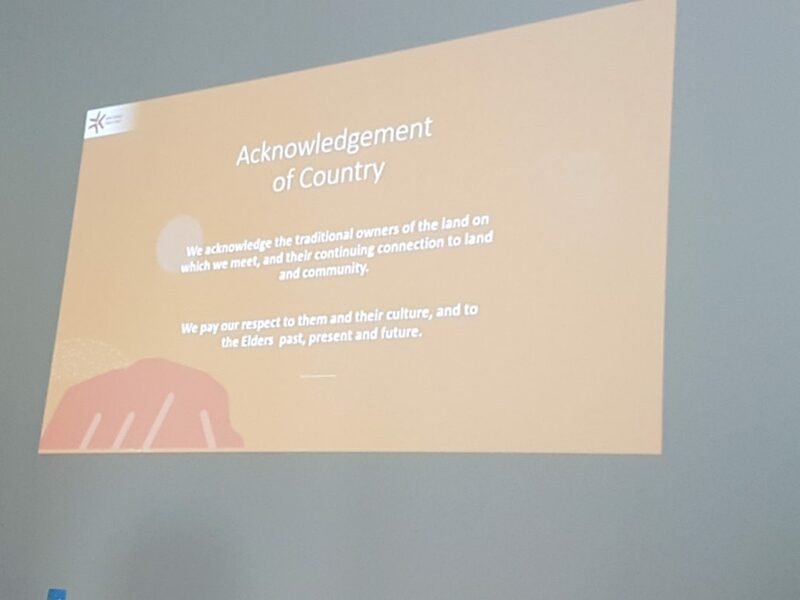 The Company was established to meet the growing requirements by Government and the private sector to engage Indigenous owned and managed enterprises. 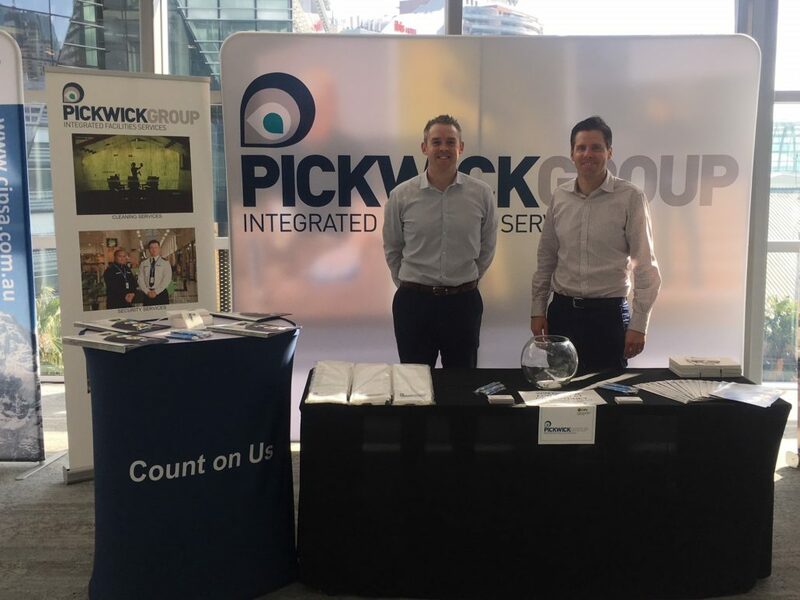 Initially Pickwick 1A Services will operate alongside and with the support of Pickwick Group and utilise and build upon Pickwick Group’s knowledge, expertise and systems. However, its whole purpose is to be a standalone Indigenous controlled and operated enterprise. The 1A stands for both “First Australians” and the highest of standards. The Company aims to contribute to reconciliation through the employment of Aboriginal and Torres Strait Islander peoples in operational, administrative, and management roles. 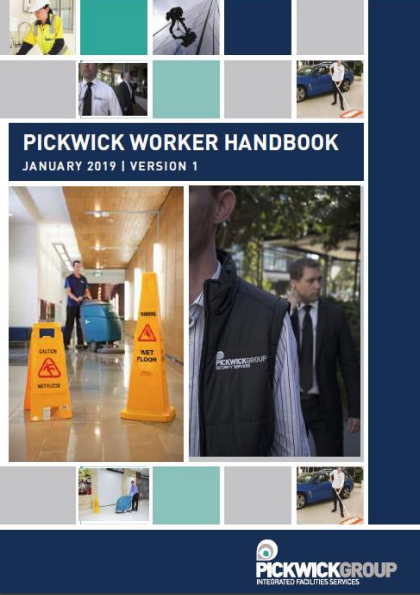 Pickwick has recently introduced a new Worker Handbook to assist employees when they join our Company. It is intended to help answer the many questions new staff may have when commencing work with us. Along with informing new employees about their employment conditions and responsibilities, the Handbook advises and provides guidance on what to do in various situations that may occur whilst at work. An electronic version of the booklet may be found on this website under ABOUT US \ Employee Information. 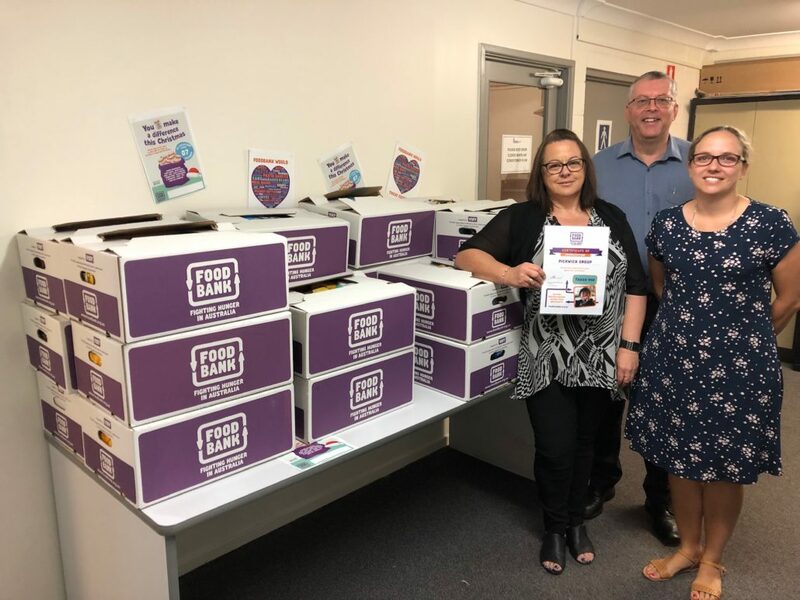 For the third year in a row, Lynette Pattison, now Payroll Officer, has taken it upon herself to organise the annual Foodbank appeal amongst Pickwick’s Brisbane staff to help those in need at Christmas. For those that don’t know, Foodbank is a non-denominational, non-profit organisation which acts as a pantry to the charities and community groups who feed the hungry. It was first established in 1992 in NSW and now has a presence in every state and the Northern Territory with distribution centres in all state capitals as well as a number of regional centres. CEO Ken Holder along with Rachael Murdoch, Pickwick’s National HR Manager were on hand to thank Lynette for the effort she goes to each year in encouraging staff donations. Ken said Lynette’s commitment to Foodbank and desire to help others reflected the true meaning of giving at Christmas. 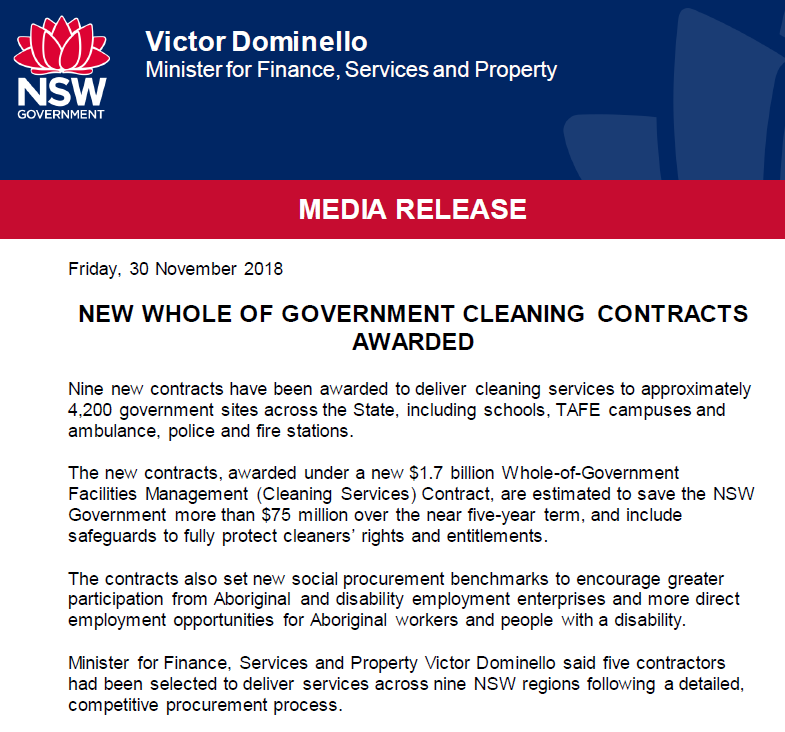 CEO Ken Holder is pleased to announce Pickwick is one of 5 successful tenderers for the NSW Whole of Government cleaning contract. The Company has been awarded the Sydney CBD region which covers a wide range of government buildings throughout the centre of Sydney. These includes museums along with facilities for the police, courts, judiciary and corrective services, and buildings containing education, transport, maritime, tourism, housing, and fire and rescue services. 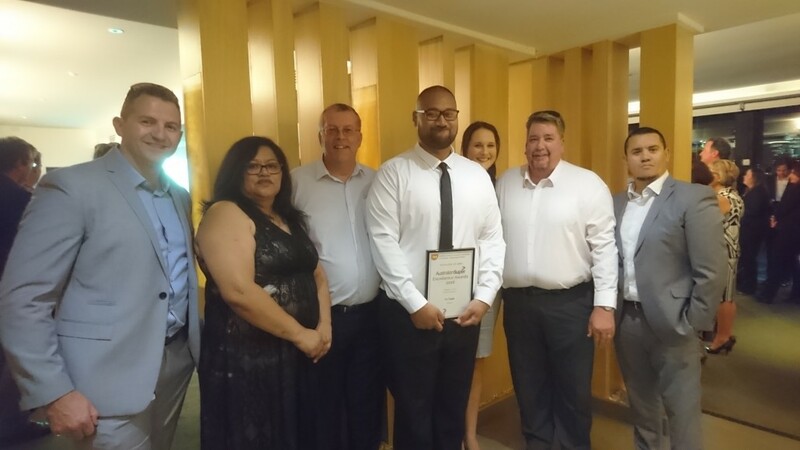 Nicholas Jenkinson, Pickwick’s NSW State Manager, said he was absolutely delighted with the award following considerable work by members of the Pickwick team over a lengthy period. He went on to say there is still a lot to do from now to when the new contract starts on 1st March 2019 but was looking forward to demonstrating Pickwick’s contract cleaning capabilities. 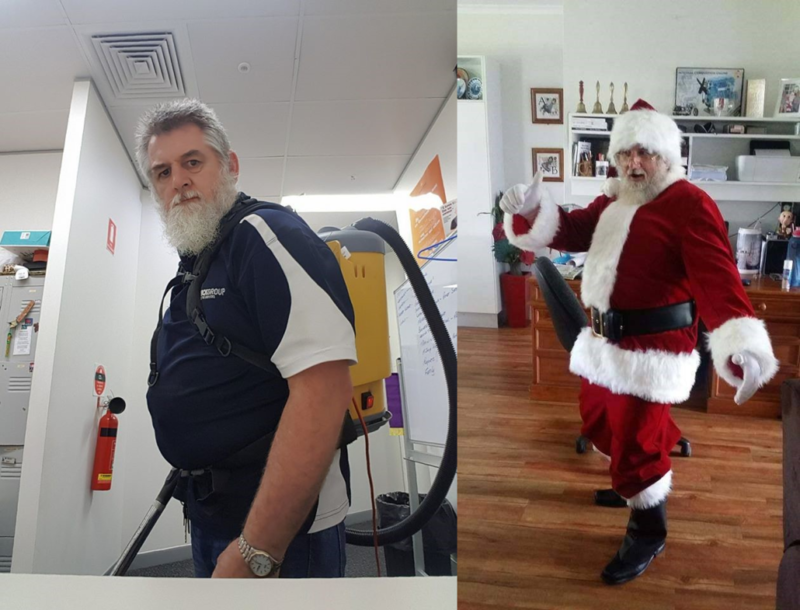 After 5 years dedicated service at the University of New South Wales (UNSW) and many years spent in the cleaning services industry, Pickwick’s UNSW Site Manager Carlos Cosentino has decided to retire. Carlos is heading home to his native Uruguay and will be there for Christmas. On behalf of all of us at Pickwick we wish him and his family the very best in retirement. 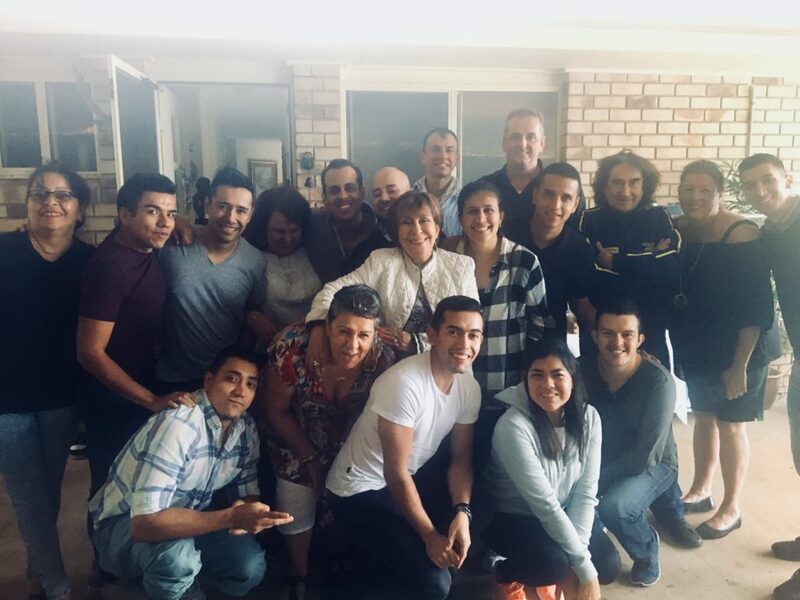 Nick Jenkinson, Pickwick’s NSW State Manager summarised it well when he said Carlos was a great asset to Pickwick and UNSW and will be missed by us all. 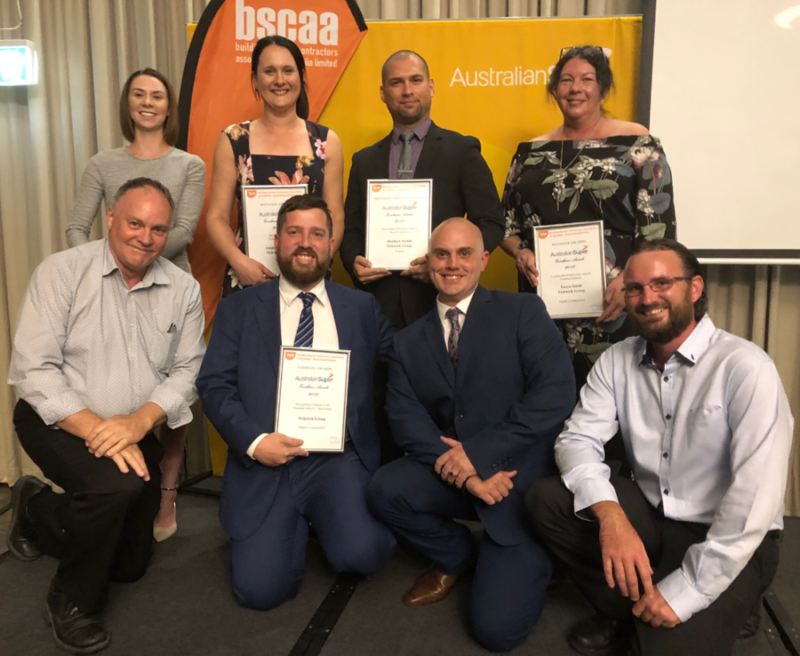 Pickwick had a very successful night at the annual Building Service Contractors Association of Australia (BSCAA) – Queensland Division Excellence Awards held in Brisbane on Friday 16th November. BSCAA is Australia’s peak industry representative body for the building services industry. The Company gathered some major accolades. Amanda Blandford (formerly Kratzke) was the winner of Best Individual Manager – Cleaning Industry and Matthew Hodak won Most Outstanding Individual Employee – Security Industry. 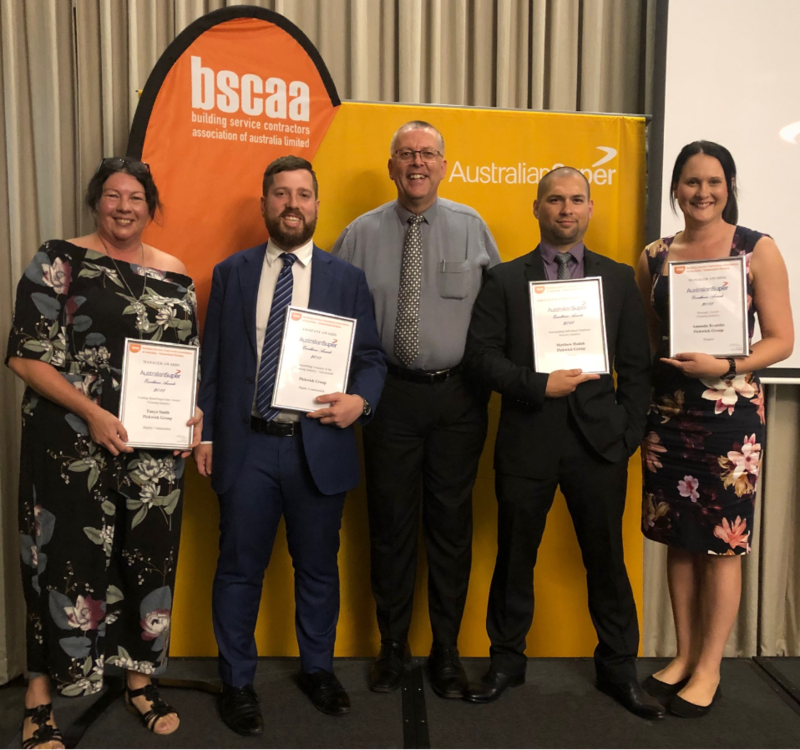 Pickwick was also highly commended for Outstanding Company in the Cleaning Industry and Tanya Smith was highly commended for Leading Hand/ Supervisor – Cleaning Industry. Pickwick was also a finalist in the Most Valuable Cleaning Team Award. CEO Ken Holder commented he was very proud, not only of the individual winners but the entire Pickwick team, both those out front providing service excellence to customers, and equally important, those behind the scenes that support them. For those that may be unaware CIPS (Chartered Institute of Procurement & Supply) is the world’s largest body serving procurement and supply, and the voice of the profession in over 150 countries. 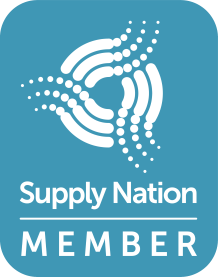 With over 4,500 members throughout Australasia it is dedicated to promoting best practice, continuous improvement in professional standards and raising awareness of the contribution that procurement and supply management can make to organisations. 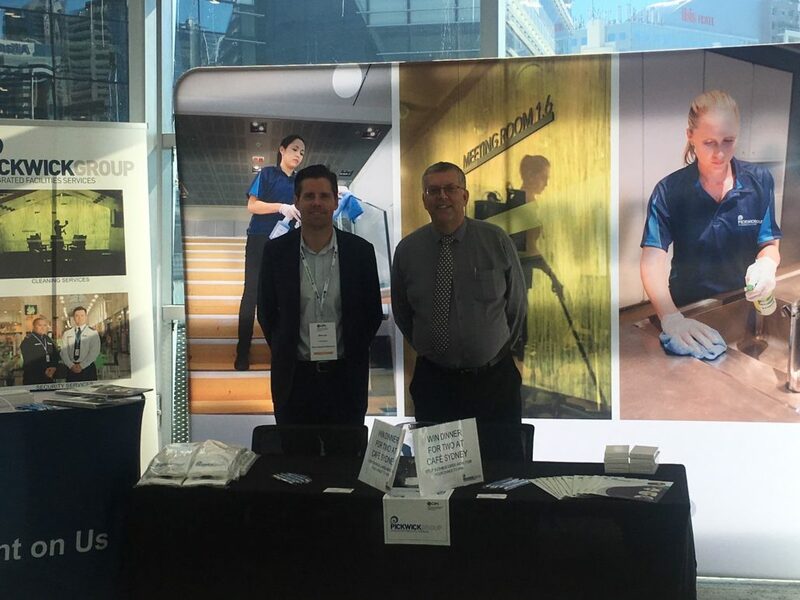 This year Pickwick was a major sponsor of CIPS 2018 Australasia Conference & Supply Management Awards held at the International Convention Centre in Sydney, 4 – 5 July. 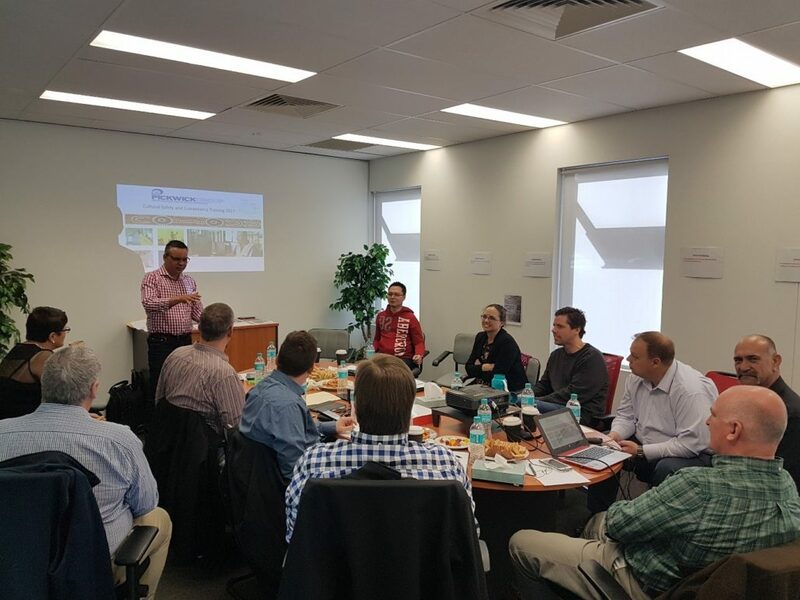 Nick Jenkinson, Pickwick’s State Manager for NSW &ACT said it was a wonderful opportunity and privilege to be among the leaders in procurement and supply and showcase many of the facility services that Pickwick could provide throughout Australia and NZ. In order to support its clients Pickwick is acutely conscious of the need to keep up-to-date with the latest innovations and technologies in the cleaning industry. INTERCLEAN is recognised as one of the premier events worldwide for this purpose. 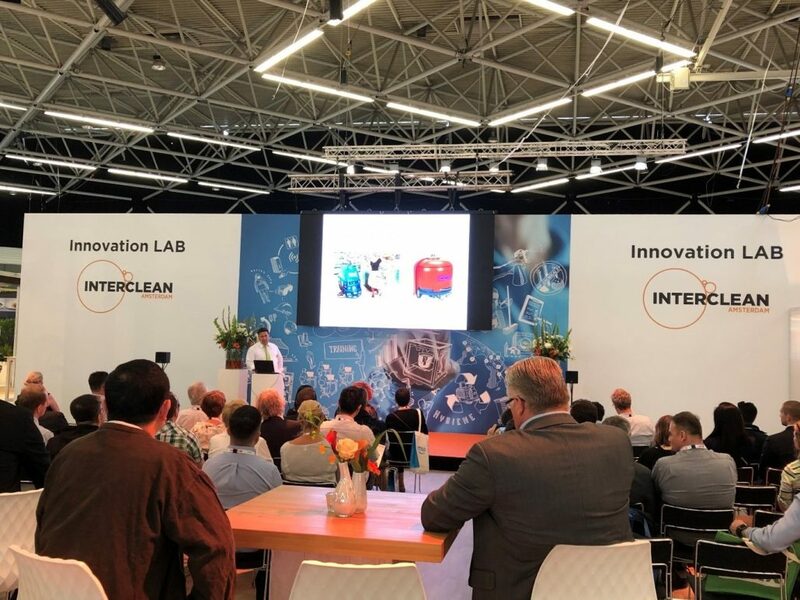 This years’ event was held in May in Amsterdam with over 900 companies exhibiting the very latest products and equipment, INTERCLEAN 2018. This year Pickwick sent a small delegation to report back on the event to management. 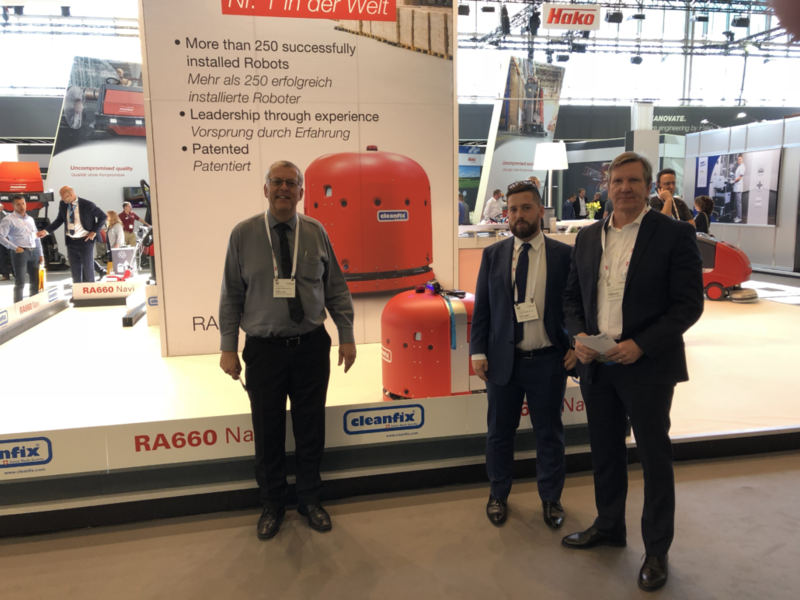 CEO Ken Holder commented that he found it extremely worthwhile and was committed to having senior line and operations management attending such international trade shows annually given the increasing pace of change. 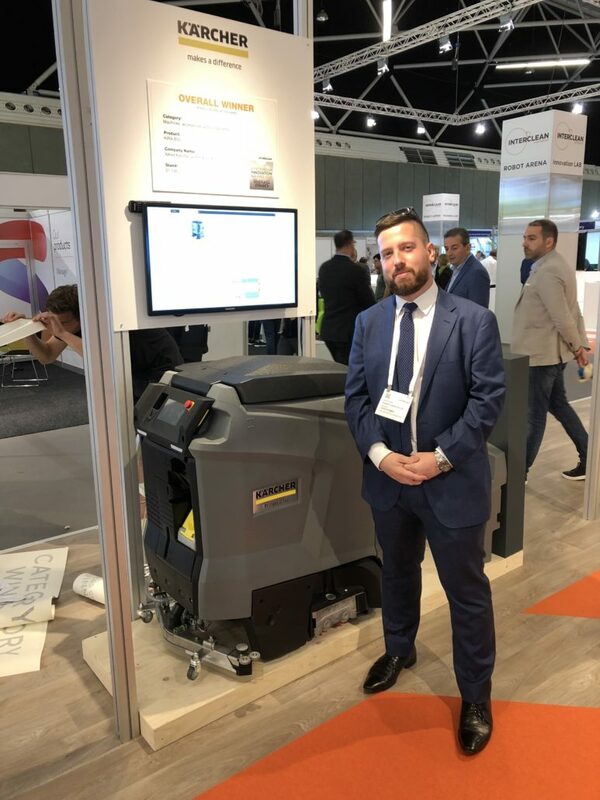 “Innovative technology is impacting the cleaning industry as much as any other sector and it’s important we remain at the forefront to better service our client’s many needs” he says. Whilst there was considerable focus on automation and robotics Ken said there are many other areas where innovative products were leading to improvements in cleaning effectiveness along with enhancing OHS and the welfare of cleaning staff. Chemical free and biodegradable / compostable technologies along with and ergonomically designed cleaning equipment are just a few. 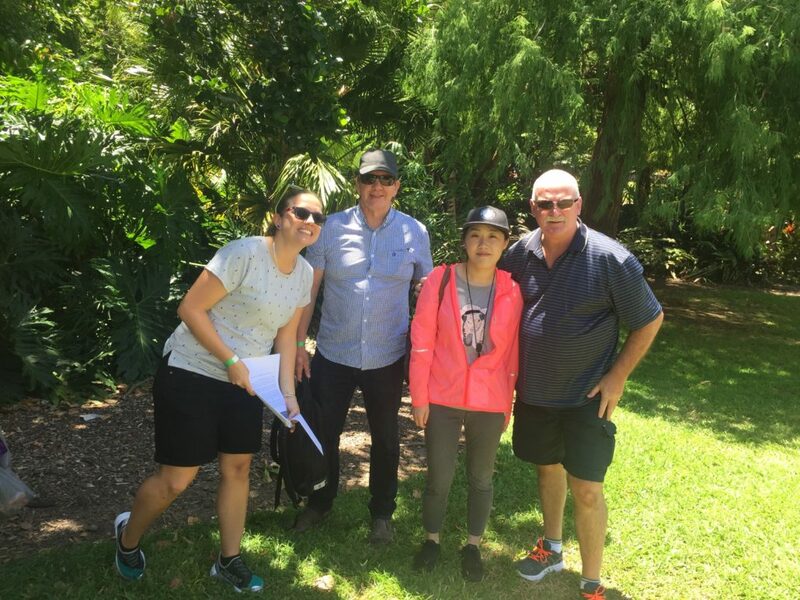 As the proud cleaning contractor to clients like Brisbane City Council and Deakin University in Victoria we share their value of inclusion and embrace multiculturalism in our group. 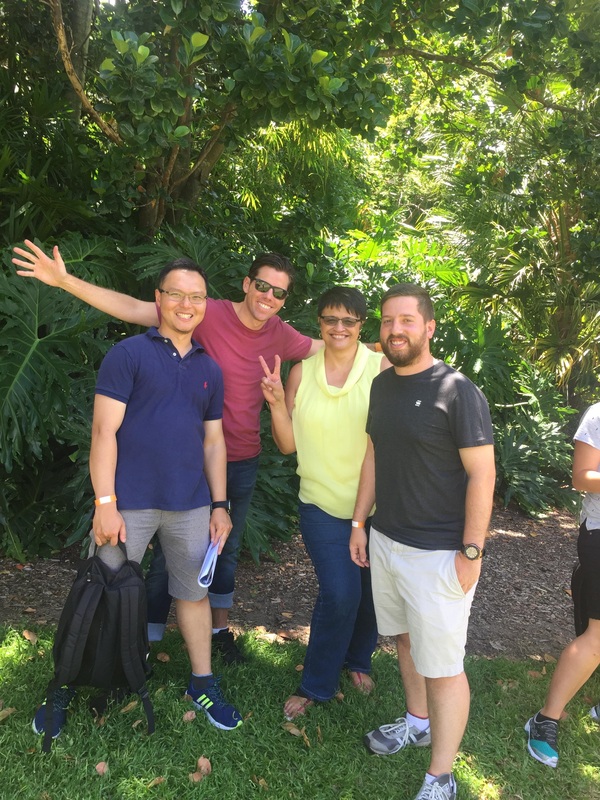 Pickwick has a truly international and multicultural workforce with staff from over 40 cultural backgrounds. 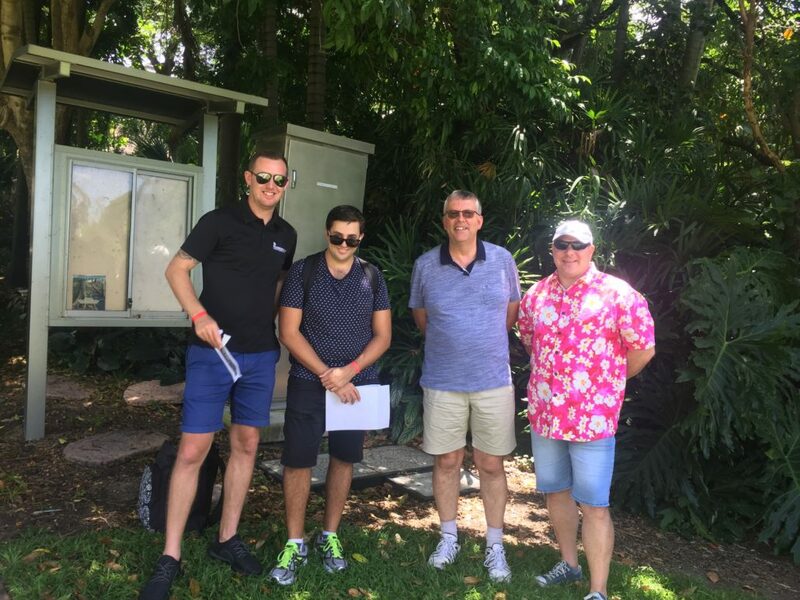 With such a variety of backgrounds, birthdays are made extra special, as experienced recently by Pickwick’s Deakin University Contracts Manager Manuel Neto, whose staff sang the birthday song in 5 different languages! “Memorable moments like this remind us of how fortunate we are to have such an inclusive and multicultural team,” Manuel said. 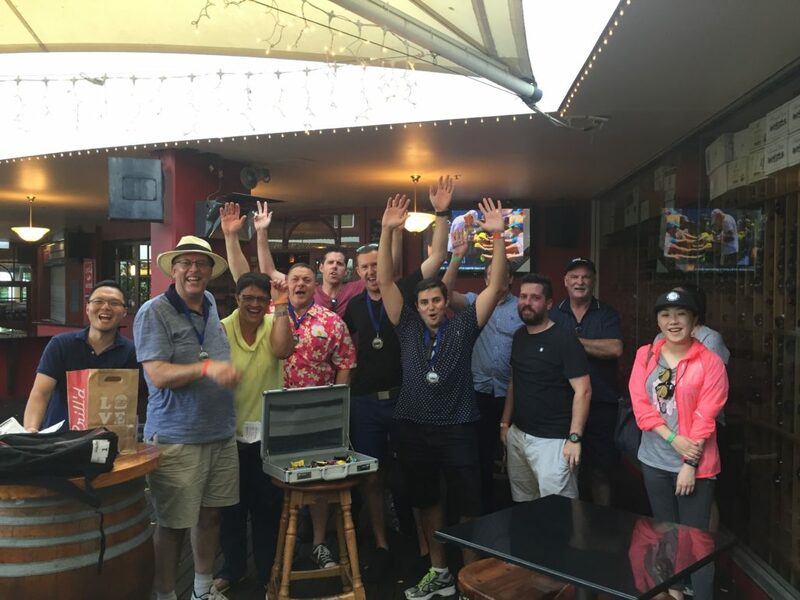 And this month in Brisbane given that many staff were on leave or doing extra shifts over the Christmas / New Year period, Scott Mackie, Pickwick’s Site Manager at Brisbane City Council’s Brisbane Square site decided to host a post-Christmas party on the weekend for his staff. Latin dancing was the order of the day after the BBQ lunch and an enjoyable time was had by all that attended. 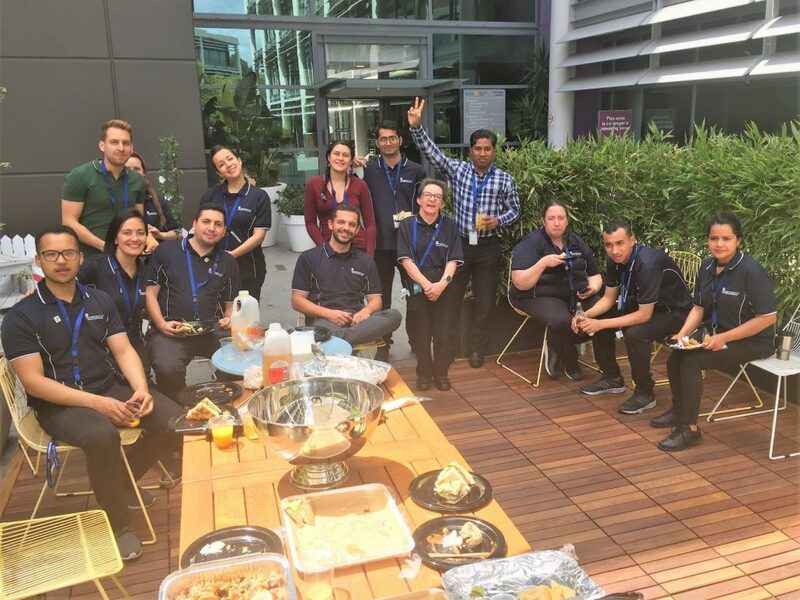 As well as enjoying diverse cultural experiences, our employees believe they have a better understanding for co-workers from other cultural backgrounds and are more willing to co-operate with one another. Working in a multicultural environment has encouraged Pickwick staff to share a variety of opinions and expertise which inspires creativity and innovation. At Pickwick we value communication. We are fortunate to have a large group of dedicated employees who come to us with excellent ideas that take our services to the next level. A good example is that of Shaminda Don who currently works for us at Deakin University’s Burwood campus. 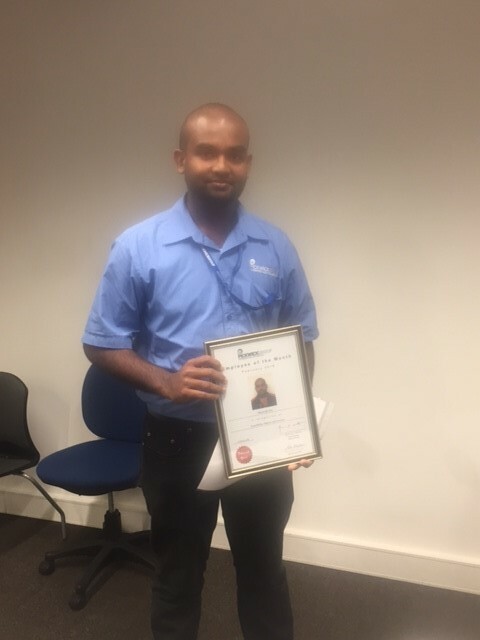 With an education background and working experiences in HR, ICT, and Business Information Technology in Sri Lanka, Shaminda came to Australia to pursue higher education in accounting and finance to enhance his knowledge and skills. Under the guidance of Pickwick’s Contract Manager Manuel Neto, Shaminda has successfully led the design and implementation of a workflow management system, which has significantly increased the operational efficiency and communication effectiveness at the site level. The system operates on a free online platform that allows cleaners, supervisors and clients easy access via their mobile phone. During the first few months of trial there have been significant improvements in site operating processes, such as performance reporting, tracking and managing faults, requests and working progress. Further to the workflow system Shaminda worked to create an online training module. Cleaners were required to complete knowledge tests on their mobile phones periodically. The tests include knowledge on waste management, proper use of vacuum cleaners, colour coding and emergency situations. Their results help identify staff who need further training. Feedback from our cleaners was good too. They found the applications fun to use and helpful in refreshing and updating their cleaning knowledge. Currently Shaminda is working on two further projects. One is to optimise site stock management by using the workflow system and the other is to implement a security application that enables our cleaners to use mobile phones to report their locations in emergency situations. Deakin University have spoken highly of Shaminda’s work. Pickwick is very proud of its in-house talent and we appreciate the dedication and innovation from employees like Shaminda. Tim Broatch, Pickwick’s Victorian State Manager said “Communication is the key. We receive many clever ideas from our staff and are more than happy to implement them. It’s amazing how much talent we have within our workforce from diverse cultures and educational backgrounds who are representing Pickwick every day.” Pickwick believes that to provide excellent services and develop long term customer partnerships we must constantly encourage our employees who possess both the technical skills and the passion to confront the challenges and make a difference. 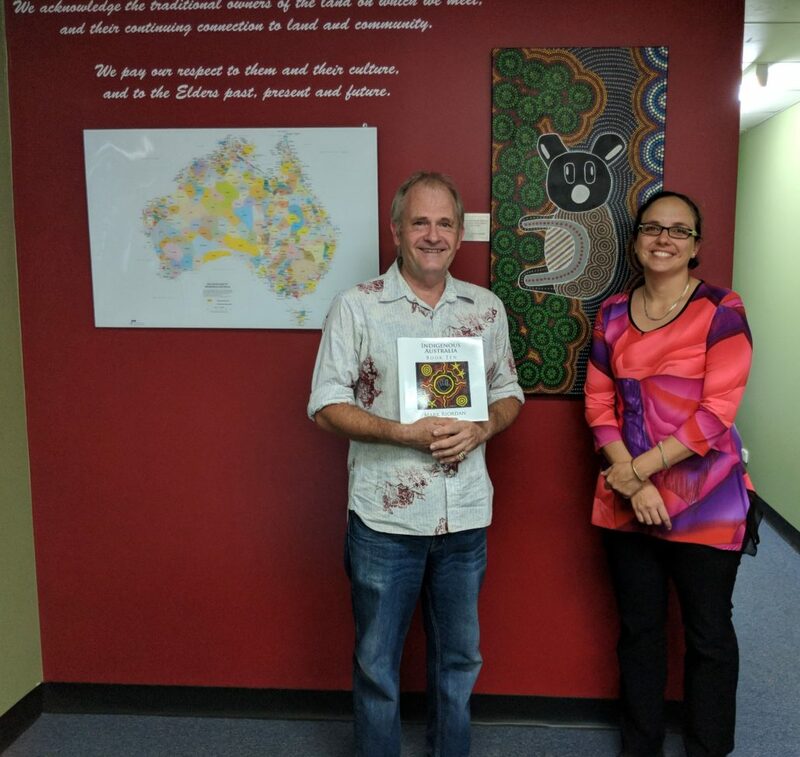 Local poet and Pickwick employee Mark Riordan has published a new book, Indigenous Australia. 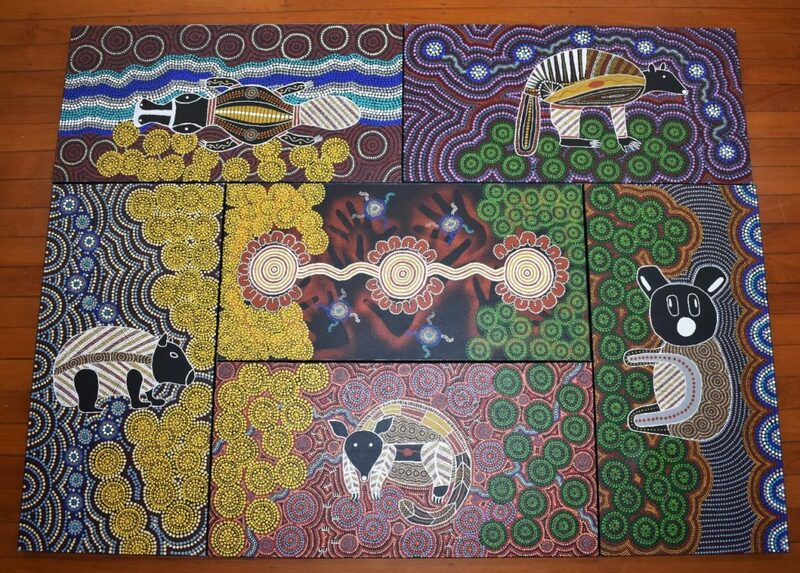 It is a look into the culture of Australia’s Indigenous citizens. Through poetry and original dot paintings the poems are brought to life and give the reader a glimpse of our ancestral heritage. Notably last year, after composing a poem for Her Majesty’s 90th birthday, and sending his book The Poetry of Queensland, Mark received a very gracious letter and card from Her Majesty thanking him for his kind words. Mark has been writing poetry for over 30 years and his numerous books represent the many unique passions and loves of his life. 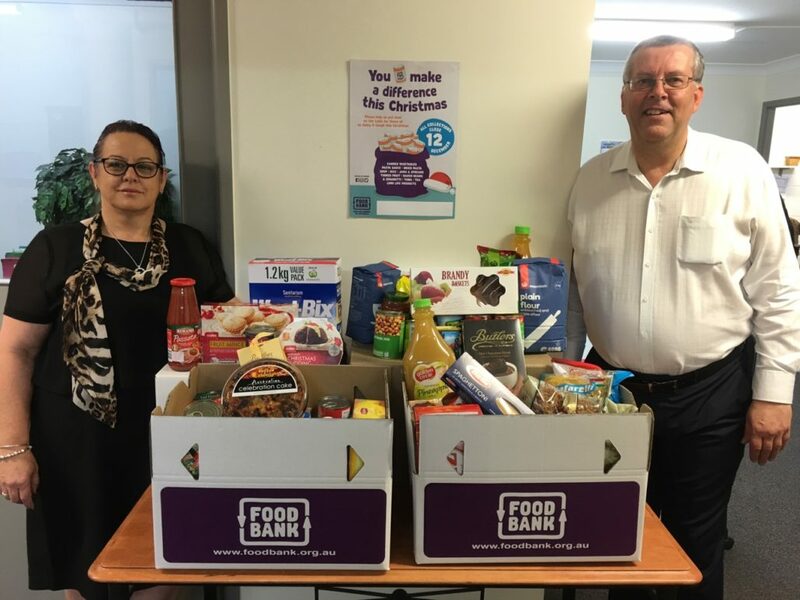 In the spirit of Christmas and giving, Lynette Pattison, Contract Administrator for Pickwick’s Construction Cleaning and Height Access Services divisions, arranged for a Foodbank to be set up at the Brisbane Head Office for the annual Christmas Food Drive. This was the second year Lynette had organised a Foodbank for Pickwick’s staff to contribute with overwhelming success. 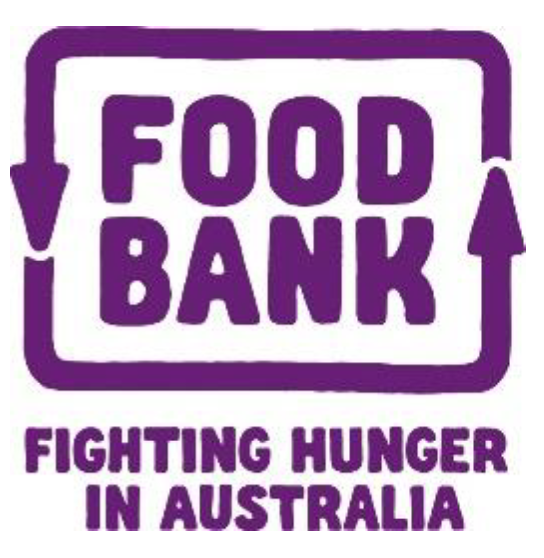 Foodbank is by far, the largest hunger relief organisation of Australia. It is a non-denominational, non-profit organisation which acts as a pantry to the charities and community groups who feed the hungry. Foodbank was first established in NSW in 1992 and now has a presence in every state / territory. It has over 3,000 volunteers and acts as a conduit between the food industry’s surplus food and the welfare sector’s need. Rick Campbell has been an important part of the Pickwick team in Far North Queensland for over 7 years. However, we have found that he has an alias that only presents themselves over the festive season. Many years ago, Rick was caring for an elderly gentleman that he became quite close with and has honoured that gentleman by continuing that legacy. From November, he starts to transform himself by put the jolly in his cheeks and a twinkle in his eye to become Santa Claus. You must admit, he does look the part. Rick takes immense pride in his work, and his “get-to-it” attitude has our clients thinking he’s special, and you know Rick, so do we at Pickwick. We look forward too many more years’ service with you, oh and please pass onto Santa that we hope he has a Merry Christmas and that we have all been well behaved this year. 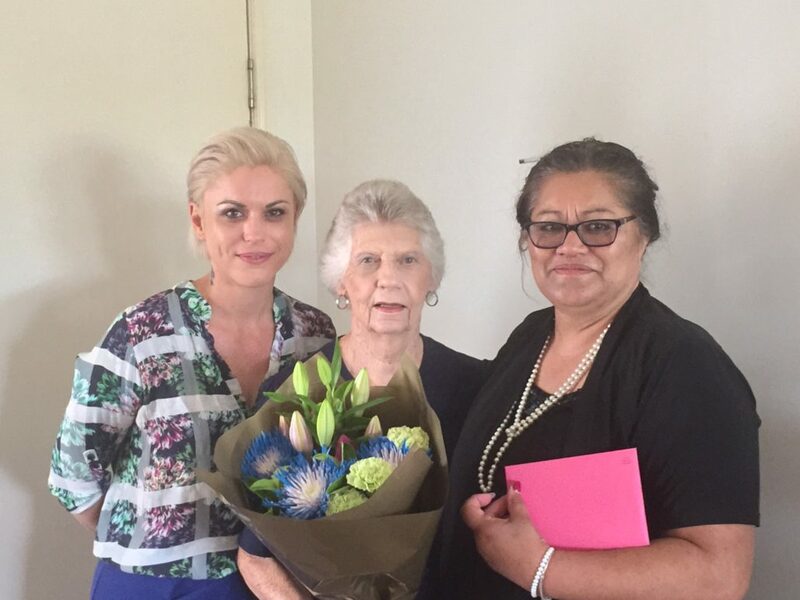 On 30th November Evelyn King, who services our Mackay area, celebrated 10 years’ service with Pickwick. 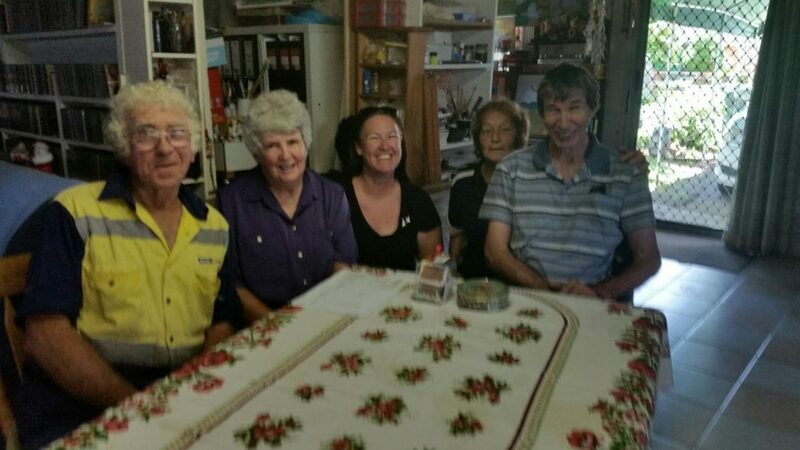 A morning tea was held to celebrate this milestone which was attended also with her brother and fellow employee Alan Catto and co-workers Alma Smith and Laurie Smith. 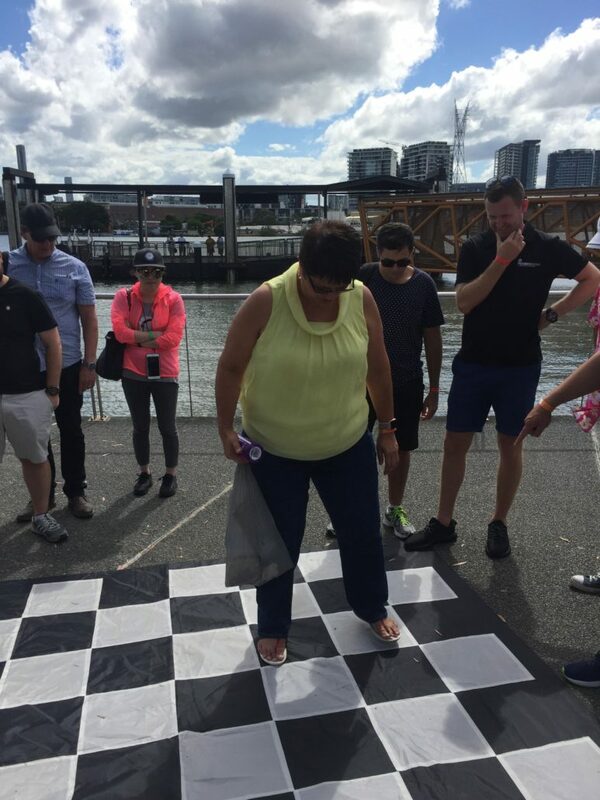 Not one to miss out on a staff gathering, Trisha Burgoyne, Pickwick’s North Queensland Regional Manager provided the delicious treats and presented Evelyn with gift vouchers. 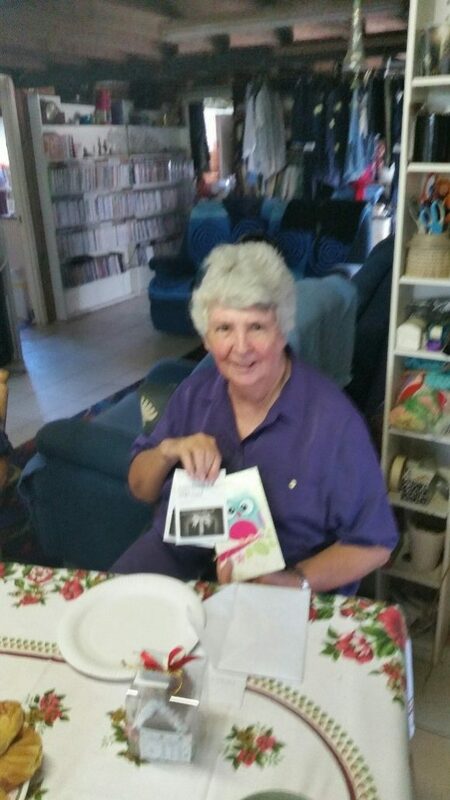 Reminiscing since commencing with Pickwick in Mackay in 2007, Evelyn recalls the many sites she has serviced such as ABC Radio, Department of Immigration and Broder Protection, and Bendigo Bank just to name a few. Evelyn still does enjoy her time spent with Pickwick and looks forward to the next 10 years with us. From all of us at Pickwick, congratulations and a big THANK YOU! 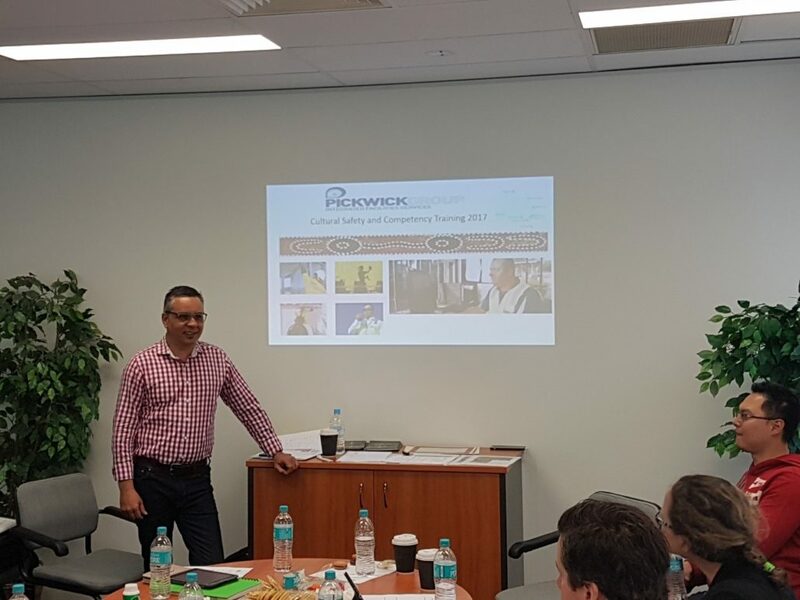 Over the past 6 months Pickwick has devoted considerable resources to developing its own Reconciliation Action Plan (RAP) recognising the need to take affirmative action in working with Indigenous Australians and Indigenous businesses. Pickwick’s RAP has now been endorsed by Reconciliation Australia (https://www.reconciliation.org.au/). The Company has taken numerous steps in this key area, from the symbolic and ongoing recognition of Traditional Owners, Custodians and Elders past and present, to engaging and working with Indigenous suppliers, to the establishment of a majority Indigenous-owned Joint Venture Company servicing key clients and employing Aboriginal and Torres Strait Islander people. 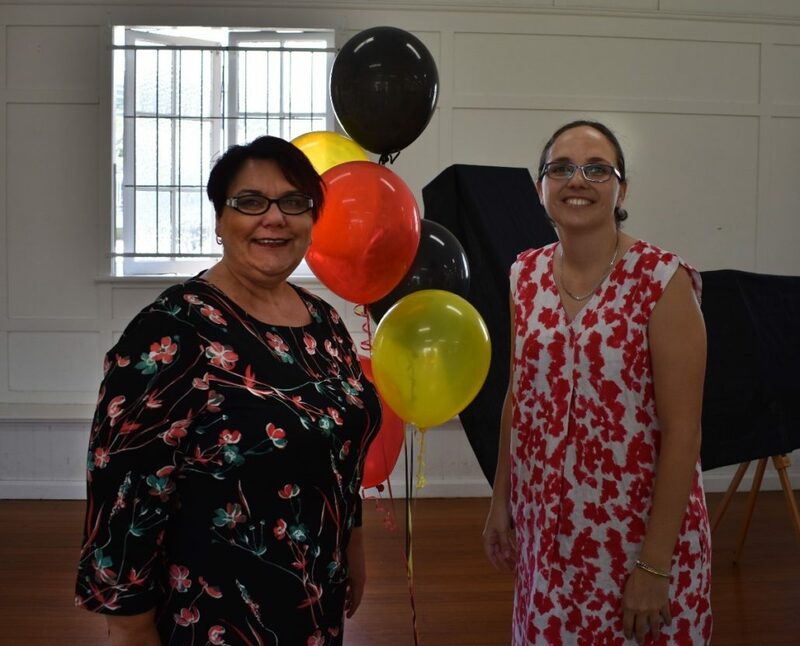 On 3rd November, Pickwick hosted staff, suppliers and clients along with local elders and Indigenous representatives in government and industry at the official launch of its RAP held at the Jagera Community Hall in Brisbane. Pickwick CEO Ken Holder and Pickwick National HR Manager Rachael Murdoch used the occasion to thank all those that had worked tirelessly on the creation of its RAP pointing out ‘actions speak louder than words’ and the onus was now on all within Pickwick to do their part in making the RAP a reality. Importantly 2017 marks the 50th Anniversary of the 1967 Referendum where 91% of Australian’s voted to change the Constitution to include Indigenous people in the census and allow the Commonwealth government to make laws for Indigenous people. It also marks 25 years since the 1992 Mabo decision which recognised the rights of Aboriginal and Torres Strait Island peoples as the traditional owners of their land and that the previously held policy of terra nullius (empty land – or land that belongs to nobody) should not have applied to Australia. 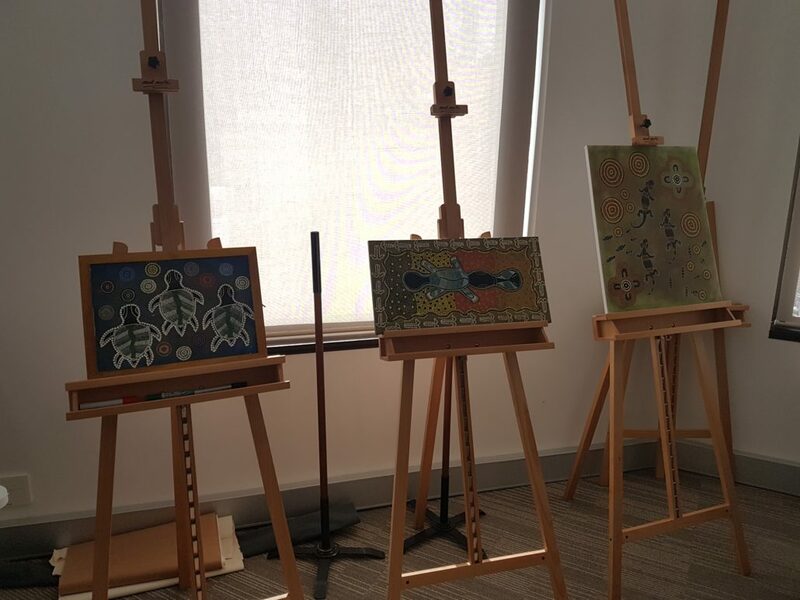 As part of its RAP celebrations 6 individual paintings created by Indigenous artist Charo Angeles were unveiled. Each painting represents the states where Pickwick has an office and collectively form a mural as shown in one photo accompanying this article though will be hung separately in each state office. 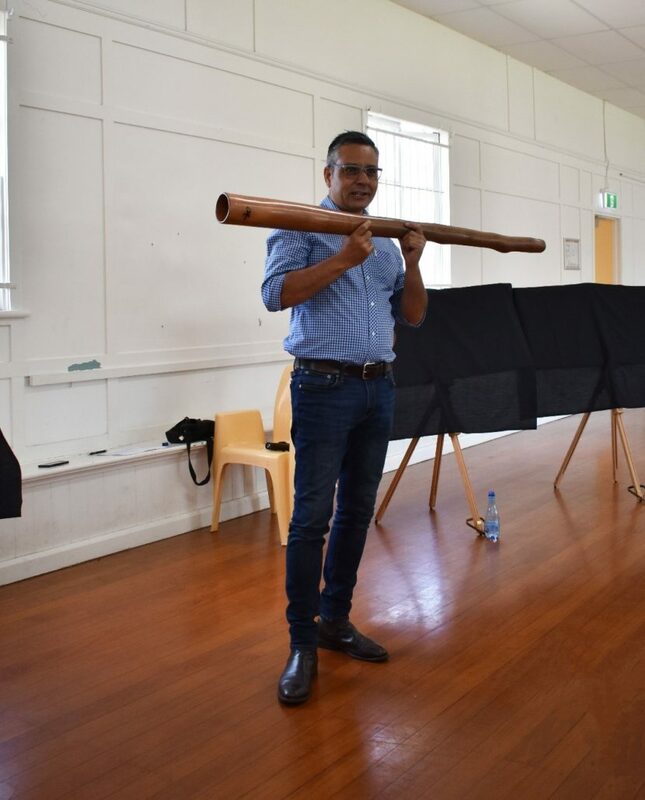 Those present also had the chance to learn the history and hear the didgeridoo from John Briggs (http://www.johnbriggs.net.au/) as well as enjoy delicious Indigenous food prepared by Bryant Wells (http://www.tukkarestaurant.com.au). Pickwick is proud to announce the launch of Pickwick 1A Facilities Services & Recruitment Pty Ltd, ABN 87 621 907 248 and trading as Pickwick 1A Services. This newly formed facility services and labour hire company will provide a range of commercial cleaning and related services to corporate business, all levels of government, and community and social enterprises. 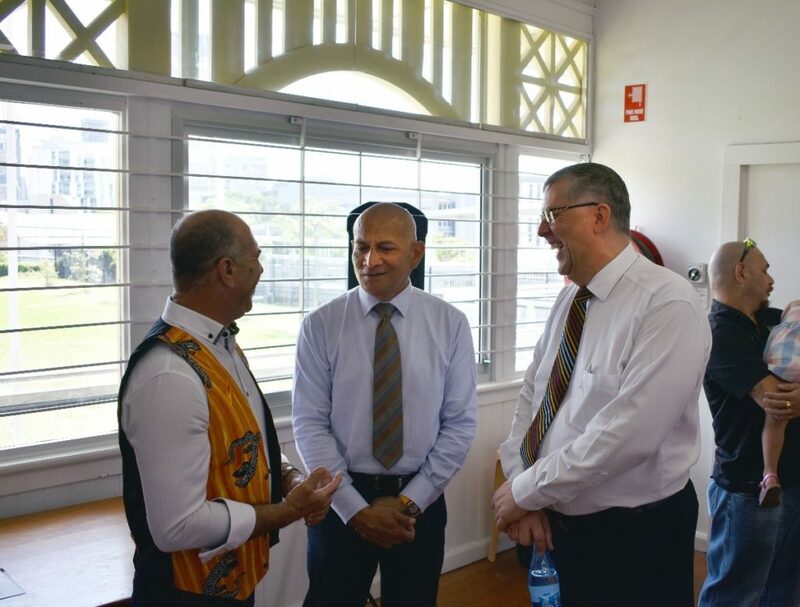 Pickwick 1A Services is one of our responses to creating reconciliation with Indigenous people along with the Commonwealth Government’s Indigenous Procurement Policy (IPP). This policy aims to leverage the Commonwealth’s annual multi-billion procurement spend to drive demand for Indigenous goods and services, stimulate Indigenous economic development, and grow the Indigenous business sector. 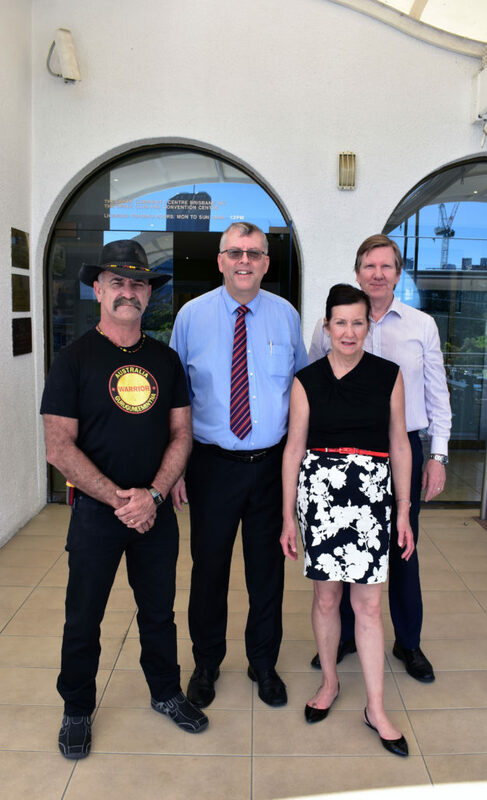 In addition, Pickwick 1A Services will work with corporate Australia who as part of their own reconciliation efforts with First Australians understand the importance for the country and nationhood in engaging with Indigenous businesses on equal terms. Initially Pickwick 1A Services will operate alongside and with the support of Pickwick Group Pty Ltd and utilise and build upon Pickwick Group’s knowledge, expertise and systems. However, its whole purpose is to be a standalone Indigenous controlled and operated enterprise. 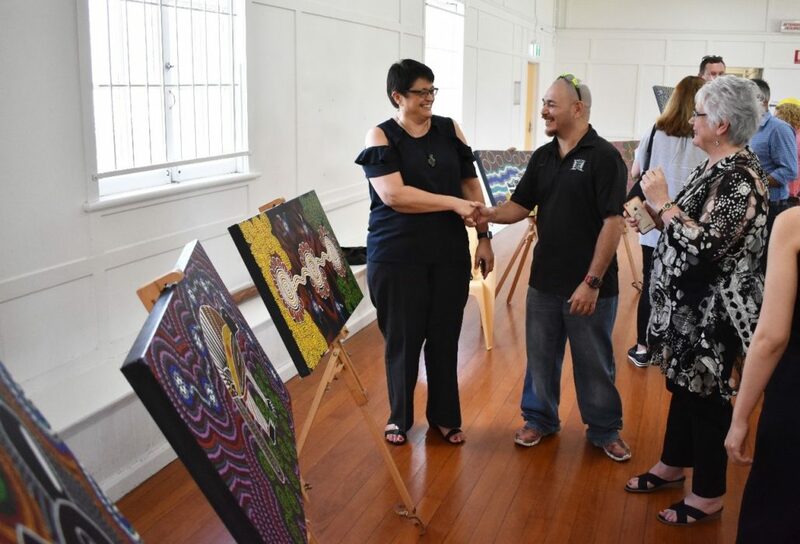 The Company is majority Indigenous owned (51%) by Syl Johns, a descendant of the Larrakia nation near Darwin and Carol Malone, a descendant from the Gubbi Gubbi people of the Wide Bay-Burnett area. The 1A stands for both First Australians and the highest of standards. 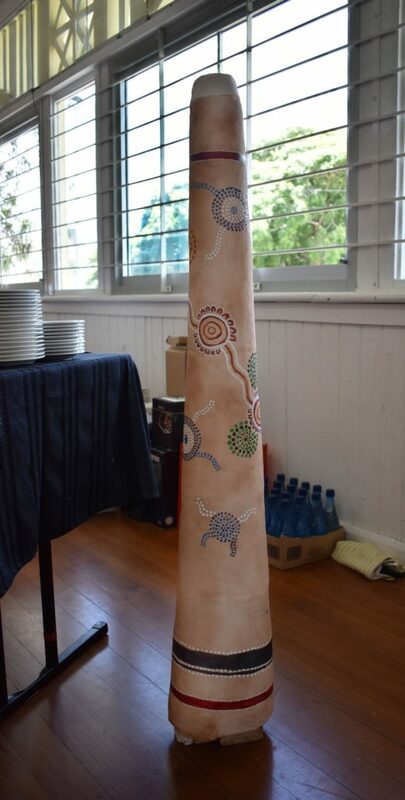 The Company aims to contribute to reconciliation through the employment of Aboriginal and Torres Strait Islander peoples in operational, administrative, and management roles. 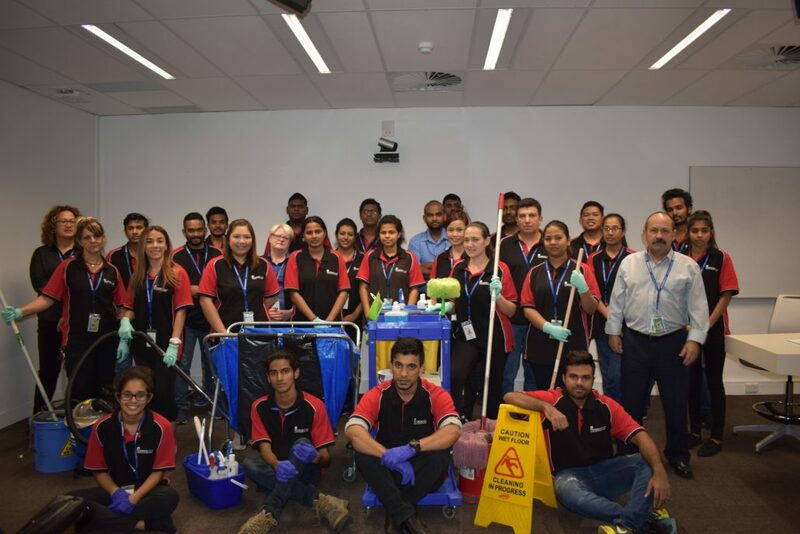 Thank Your Cleaner Day is a special day held annually and dedicated to cleaners to show they are valued and appreciated for helping keep our work environments clean and hygienic. This year it was Wednesday 18th October. Cleaners are the unsung heroes of almost every workplace. Their efforts often taken for granted and unnoticed allow us to get on with our own work. You may not even see your cleaner. Just like the elves in The Elves and the Shoemaker classic fairy tale they appear in the quiet of night, just do their work and then vanish without praise or acclaim. Pickwick’s cleaners come from all walks of life and a multitude of backgrounds. All work hard and deserve a hearty ‘well-done’ for their efforts. 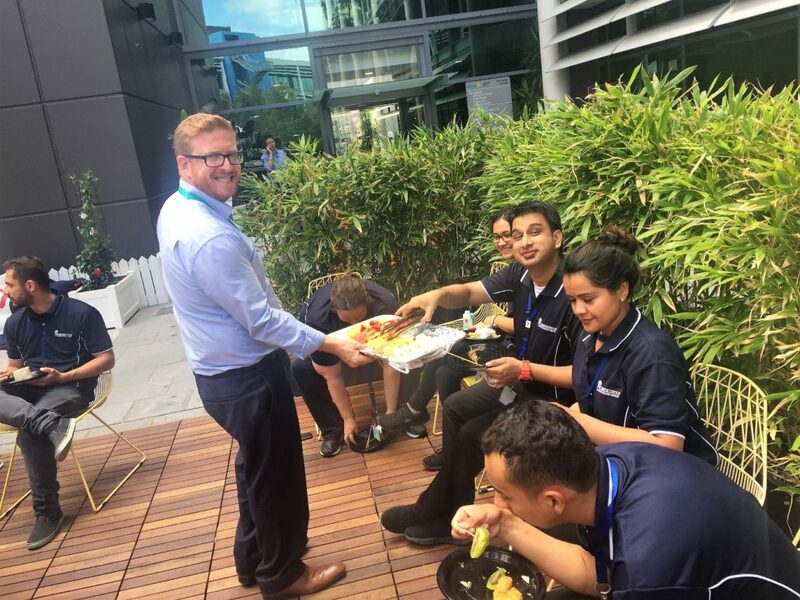 As part of celebrations held around Australia a fantastic lunch was had by the Pickwick team at the Optus campus in Sydney. 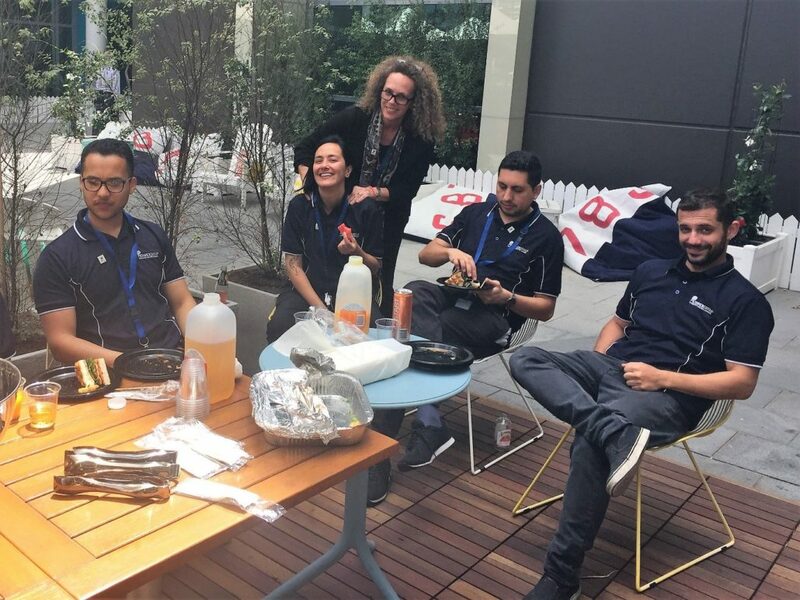 The team enjoyed a catered lunch served by both Optus and Brookfield Global Integrated Solutions (BGIS) management. 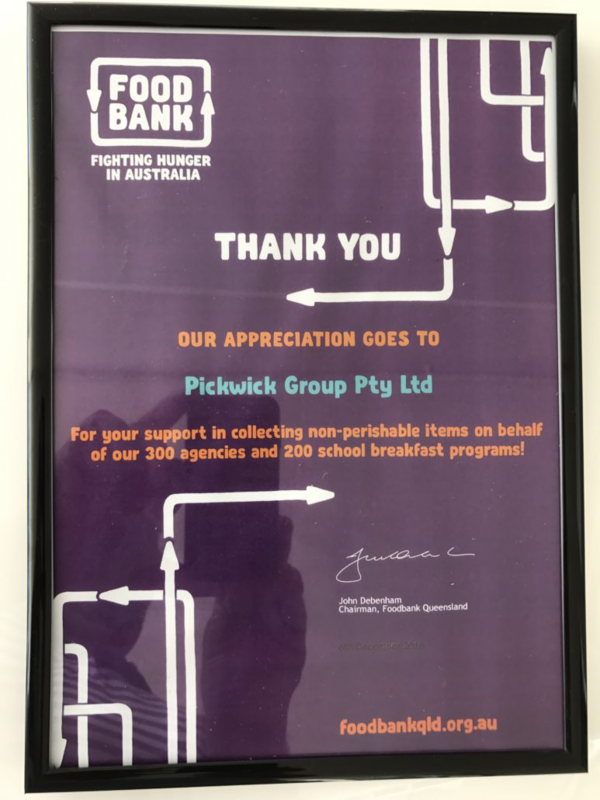 Pickwick wishes to thank Sam Buric (Optus National Facilities Manager), Andrew Belgum (Optus Corporate & Retail Facilities Manager), Glynn Clayton (BGIS Corporate & Retail Operations Manager) and Donna Ferguson (BGIS Campus Facilities Manager Optus Centre Sydney) for making the day so memorable to our staff. As one of many steps Pickwick senior management recently undertook Cultural Awareness Training through John Briggs (www.johnbriggs.net.au). The workshop focused on where we are today and where we are headed. 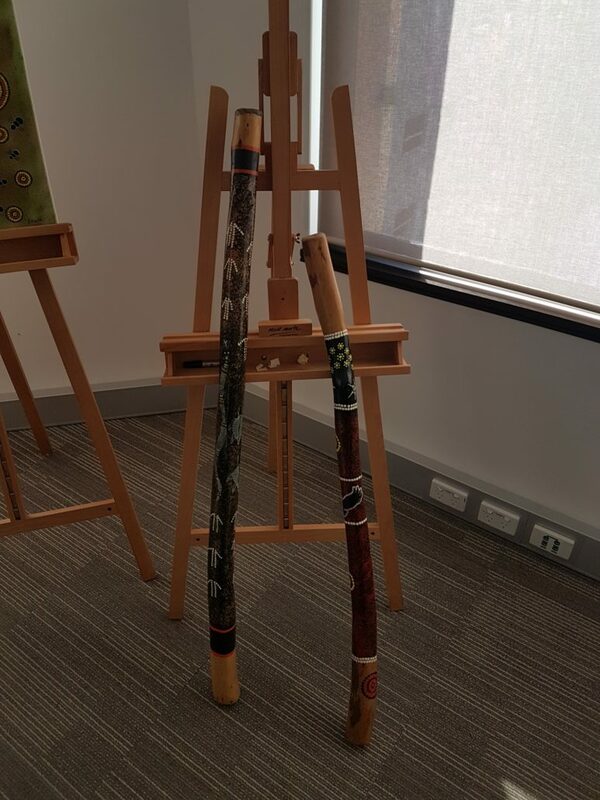 It provided Pickwick’s senior management with the opportunity to explore and discuss Aboriginal and Torres Strait Islander histories, people and communities. Importantly for the Pickwick team the workshop helped deconstruct unconscious bias and other blockers preventing effective practice. For more information on Pickwick’s reconciliation journey please refer to our first RAP at Pickwick RAP (draft). 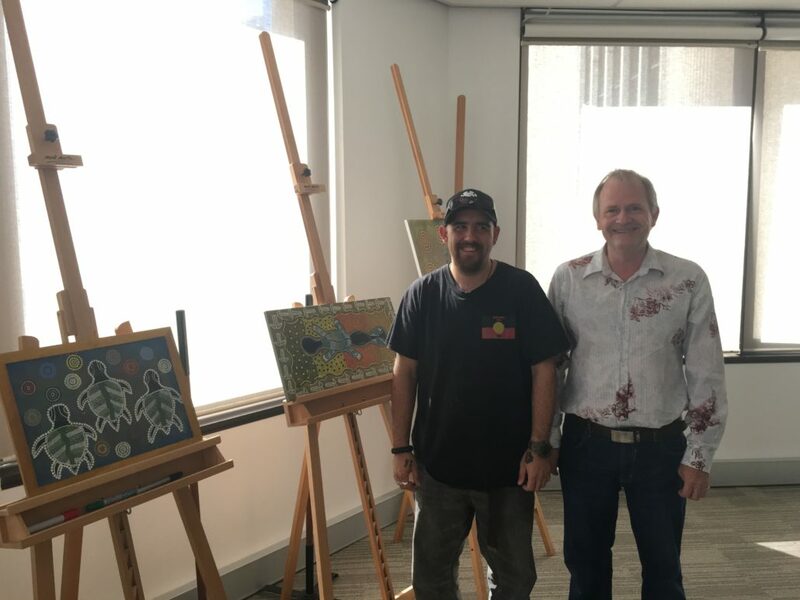 Mark Riordan Pickwick’s residential poet (see News Story, September 2015) who is also our Cleaning Supervisor based at Boeing formed a partnership with Beau Keeble (Indigenous artist) to celebrate Boeing’s indigenous day for NAIDOC week. Both Mark and Beau had their respective works on show at Boeing. Boeing also invited along local Aboriginal and Torres Strait Islander speaker Lenise Schloss who told stories of her father who was the first ever indigenous fighter pilot. Along with his full time role with Pickwick Mark has been busy working on a series of children’s books. “When Mark approached me about his children books I jumped at the opportunity to be the illustrator of his indigenous book series, mainly because when I reflect back to my time at school, there was very little taught about the indigenous culture in any of the public schools that I attended” Beau said. He added “I believe it is important for all young children to learn about the aboriginal culture in Australia.” Pickwick is so pleased and proud to be associated with such talent. Late last year Pickwick won its largest single contract – OPTUS, one of Australia’s leading suppliers of telecommunication services. We have the privilege of servicing not only their corporate offices in all capital cities but also all their stores and outlets throughout Australia. 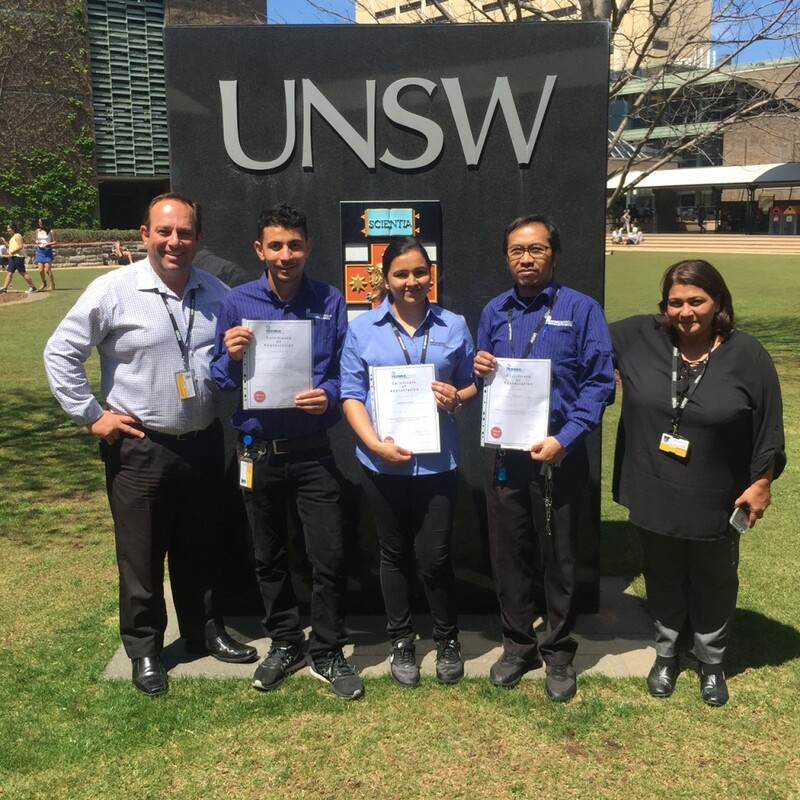 A number of our cleaners work at Optus Centre Sydney (OCS), their corporate campus in Macquarie Park, NSW. 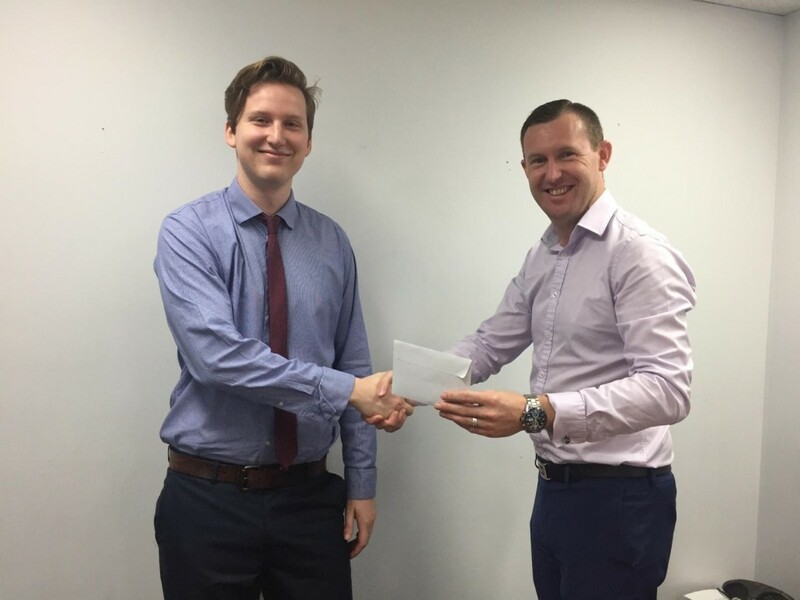 This month we had the opportunity to recognise some of those staff whose attitude and willingness to go that extra mile as they go about their tasks makes a real impact. 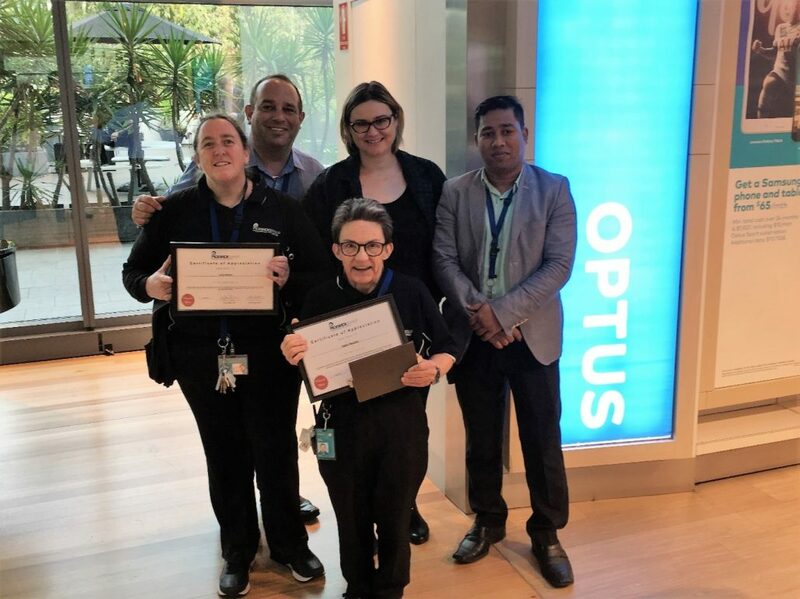 Congratulations go to both Lynda Watson and Helen Murphy our first recipients of Certificates of Appreciation at OCS for outstanding effort in their work. 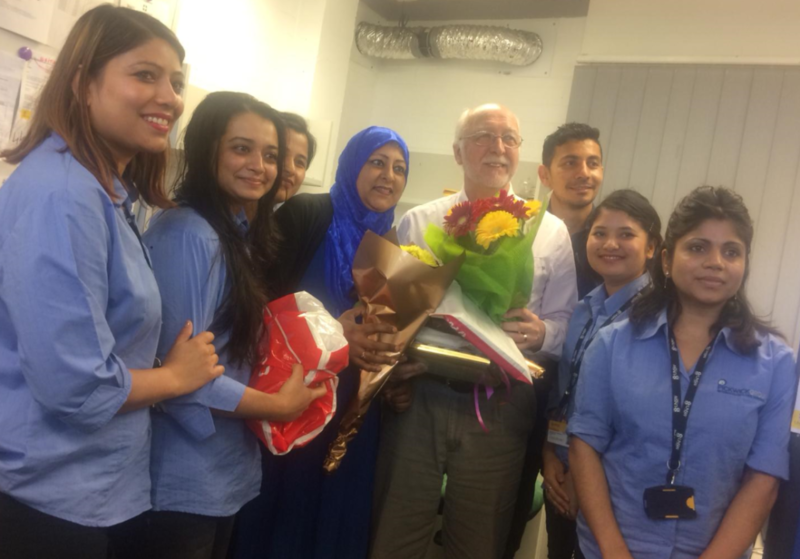 Pickwick’s Site Manager at OCS Muhammad Islam commented “the attitude which both Lynda and Helen show daily is contagious and makes such a huge difference in the work environment”. It’s not often in this industry we get to celebrate two milestones. Pam Corsar, one of our more senior cleaners recently celebrated 10 years’ service with Pickwick and not only that, Pam is quite happy to tell you she is 79 years old and still going strong! Pam has been at one of our many Bendigo Bank branches for over 8 years after reducing the hours that she was working in the earlier years with Pickwick. She is greatly admired and treasured by the bank staff. Whist she admits to the occasional minor health issue she is “back on the job” that she loves so much. With the odd change in our portfolio management, Pam has worked with several Client Services Managers who had organised a special anniversary morning tea. Clarissa Wilton (now Business Development Manager) and Sandra Phillips (Client Services Manager) helped celebrate the occasion. We are so happy you still work with us Pam and we look forward to many more years. 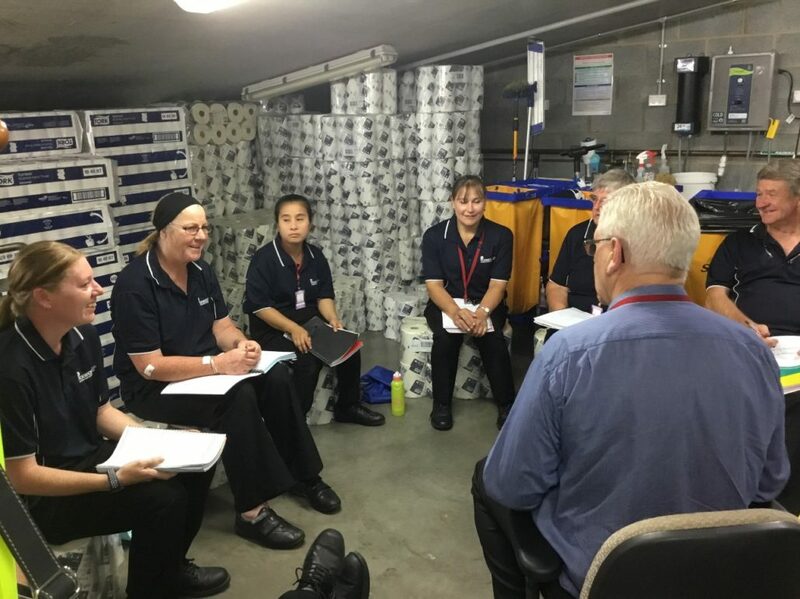 When Lynette Pattison, Contracts Administrator for Pickwick’s Construction Cleaning and Height Access Services division approached CEO Ken Holder about setting up a food bank at its Queensland office to help struggling individuals and families at Christmas he readily agreed. Whilst poverty is a 365 day a year issue around Australia, it is especially poignant at this time of year. The ability to do something to help others less fortunate than ourselves and bring some Christmas cheer resonated. 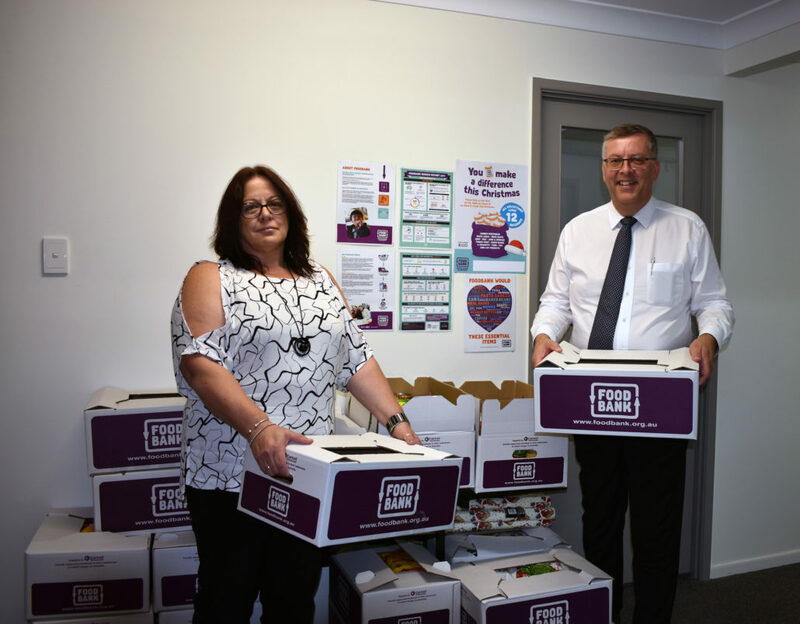 Lynette set about asking staff at the Queensland office to donate non-perishable food items that could be given to those lonely, in difficulty, or in need of assistance. A considerable amount was collected in the lead-up to Christmas, and on behalf of both Pickwick and Foodbank we thank all those who kindly donated. Foodbank generously acknowledged the contribution Pickwick employees had made. 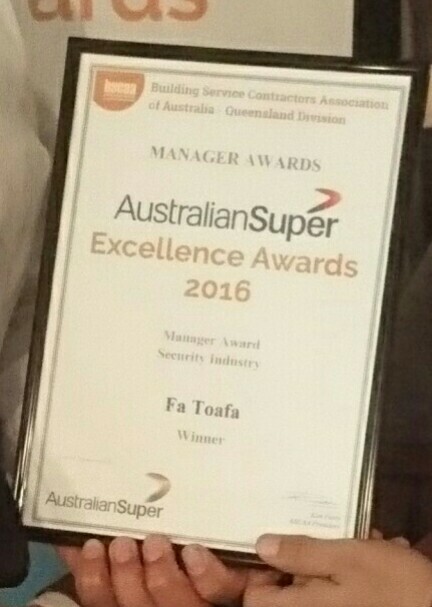 At the recent 2016 Building Service Contractors Association of Australia (BSCAA) Queensland Excellence Awards sponsored by AustralianSuper, Pickwick took out the winning prize for best Security Manager. 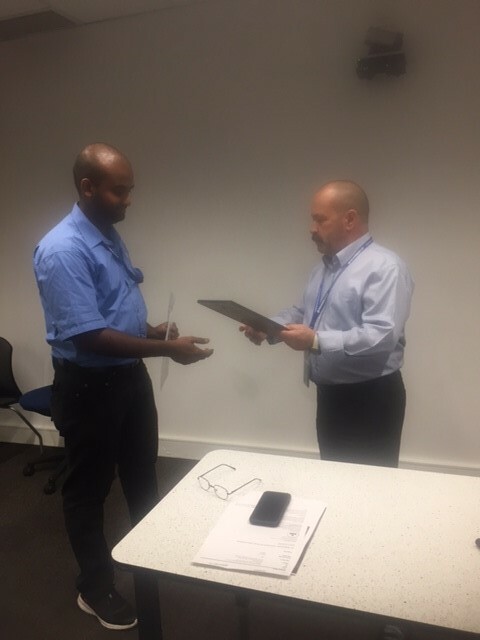 Ray Freeman, Pickwick’s General Manager – Security had nominated Fa Toafa for his work at Forest Lake Shopping Centre. Barely a week goes by without Fa gaining a compliment of some sort from a customer or visitor to the centre for his consistent high level of customer service and willingness to go the extra mile for people. “The award is well-deserved recognition of the tremendous effort Fa demonstrates daily” said Pickwick’s Operations Manager – Security Ben Reti. On behalf of the entire Pickwick team, Congratulations and Thank-you Fa! Pickwick recently updated its corporate brochure which can be found on this website. Although the layout and photos had not substantially changed, a number of improvements were made to the content to update and keep the brochure fresh. Pickwick CEO Ken Holder decided to have a bit of fun and offer prizes to staff that identified the most number of changes between the old and new versions. It had the added bonus of picking-up any mistakes as part of the proof editing process before going to print and the final version being uploaded. 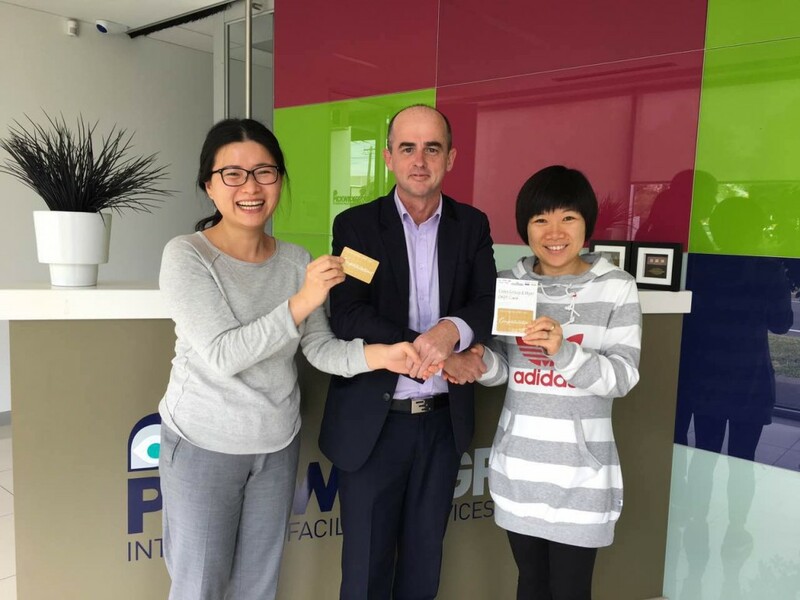 First equal prize went to Diane Li (Contracts Administrator) and Vicky Li (Tender Writer) both from our Victoria office. Just for the record Diane and Vicky are not related so there was no collusion! Highly commended prizes went to Jacob Carroll (Administration Assistant) in Queensland and Peta Phillips (Operations Coordinator) from Western Australia. Congratulations to you all, and thank you for taking part. Located in Kensington in Sydney and established in 1949 The University of New South Wales (UNSW Australia) is regarded as one of country’s leading universities. Pickwick has the privilege of helping to keep the 38-hectare main campus site clean for students, staff and visitors alike, a responsibility we take very seriously. 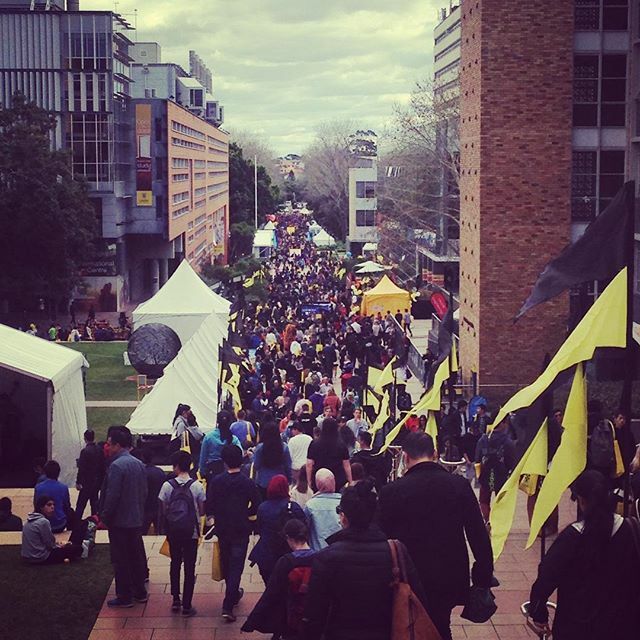 On 3rd September UNSW held its annual Open Day providing future students with the opportunity to chat face-to-face with academics and current students to help choose their ideal course as well as learn more about student life at UNSW. Whilst the weather presented its challenges the Pickwick team ensured the upper campus and facilities looked their very best throughout for the more than 5,000 prospective students that visited. In recognition of the hard work our team put in every day staff were presented with a certificate and gift voucher. Pickwick is proud to have these staff as part of our team and believes it is essential to recognise their efforts. We all know stories about sales and business development people. Too often they are seen as the glory boys and girls of a business, swanning in late, going home early … and spending far too much time on the golf course. Often when the average person is prompted with “Sales people are …” the words used are not too flattering. But in reality they along with our Client Services & Operations Managers are the back bone of the company and many of us would not have a job if it wasn’t for the dedication and professionalism of our sales people to bring in new work. 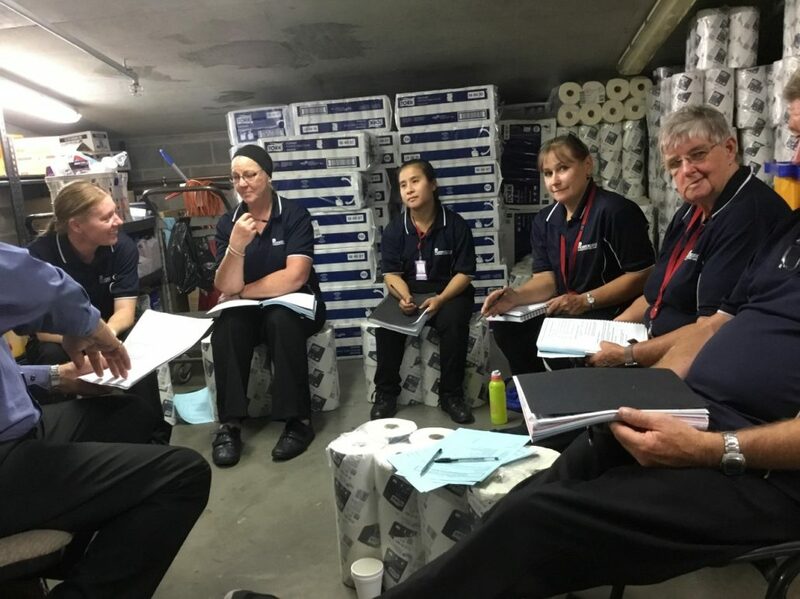 Recently Pickwick’s own Business Development Coordinator Daniel Oxley wanted to get some hands on experience of what our Cleaning Operatives do out on the field to obtain a better understanding of the products and services we are able to provide to potential clients. 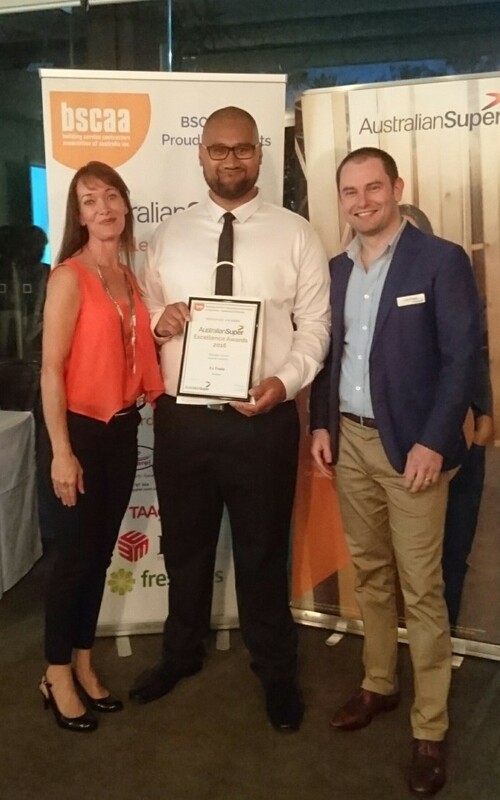 Not one to miss an opportunity, Senior Client Service Manager Michael Oakden organised Daniel to work alongside our own Tanya Smith whom we might add in a previous feed was the recipient of the Outstanding Individual “Queensland Employee – Cleaning Industry – South East Queensland,” only the best mentor for our Daniel. 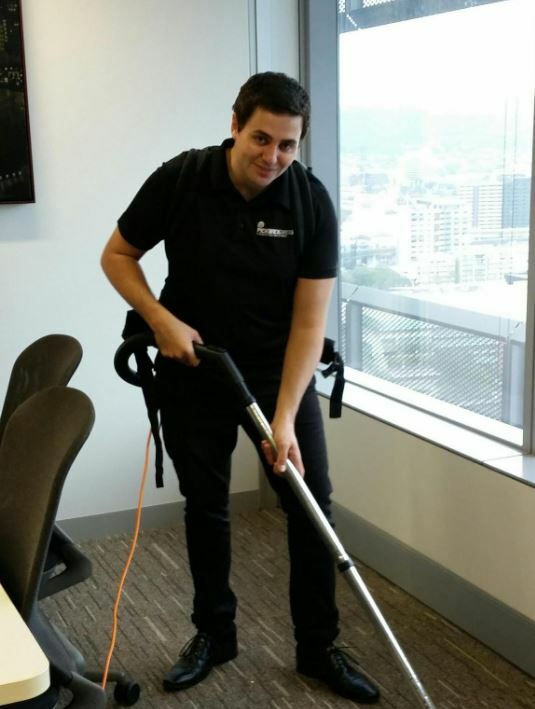 Daniel lapped up the opportunity to clean several executive offices and say hello to some of the influential friendly people in Brisbane City Council. Keep up the good work Daniel, and who knows, we may call on you again if the need arises. Sovereign Hill is one of Pickwick’s many long standing clients and an iconic site in Victoria. For the past 3 years Sovereign Hill and their dedicated staff have delighted local, national and international visitors alike with their spectacular Christmas in July event. Traditionally it has taken place over 2 weeks during the Victorian school holidays, however this year due to its popularity was extended to 4 weeks. During the day Sovereign Hill offers a range of activities for all the family, they have hands-on Christmas decoration activities for the children, circus performances (very popular entertainment in the 1850’s), story tellers (revealing some intriguing 1850’s stories), theatre shows (Snow White, Jack and the Beanstalk, A Visit from St Nicholas), and make-believe snow falling at various times throughout the day. 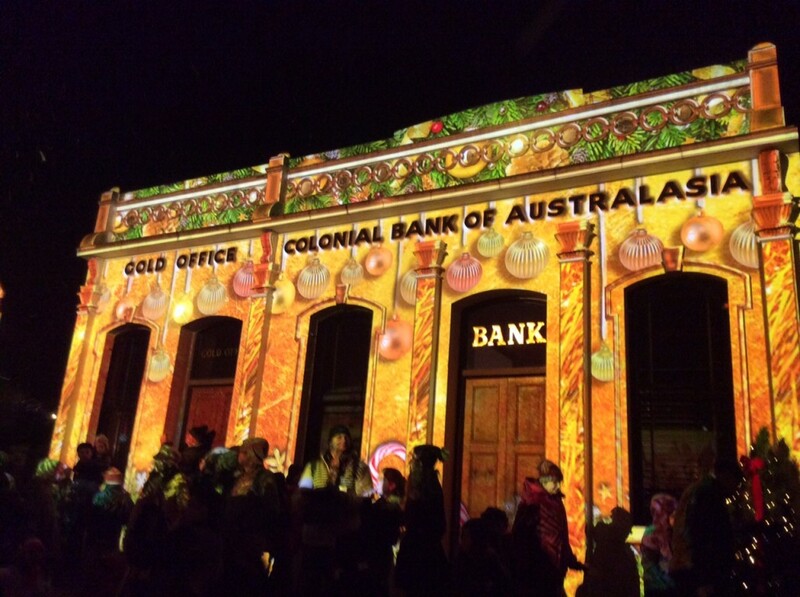 After the sun sets Sovereign Hill is transformed. 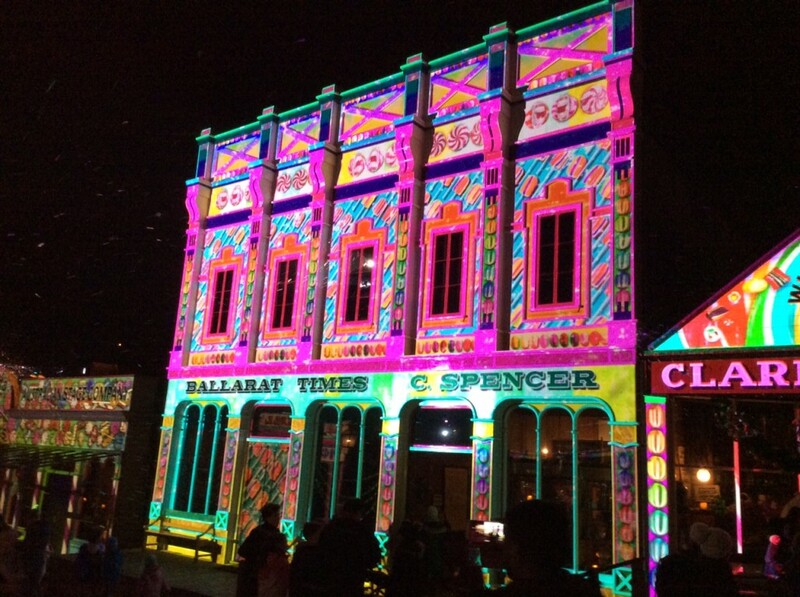 Visitors are treated to a spectacular ‘Winter Wonderlight’ show as the Main Street comes to life. Grand-scale images and footage are projected onto the Main Street facades as Christmas tunes play and the snow falls. “Whilst Pickwick’s cleaning staff always keep this site clean and tidy because of its reputation we endeavour to make an even extra special effort at this time of year” Rebecca Pegg, Pickwick’s Client Services Manager says. 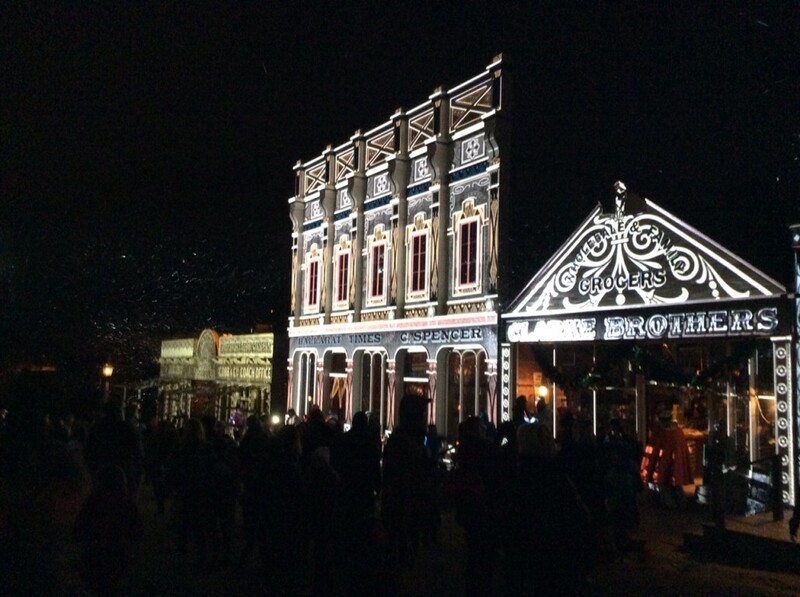 This is a must see event at this time of year sovereignhill.com.au It well organised by a team of dedicated people who strive to make Christmas in July more delightful each year.